Whip up your lovely Layer Cakes into delectable quilts for cuddling, for gifting, or just because. Sisters Barbara Groves and Mary Jacobson are famous for sharing little sewing tricks that make quilts look more complex than they truly are. In Easy Layer-Cake Quilts 2, they’re at it again! 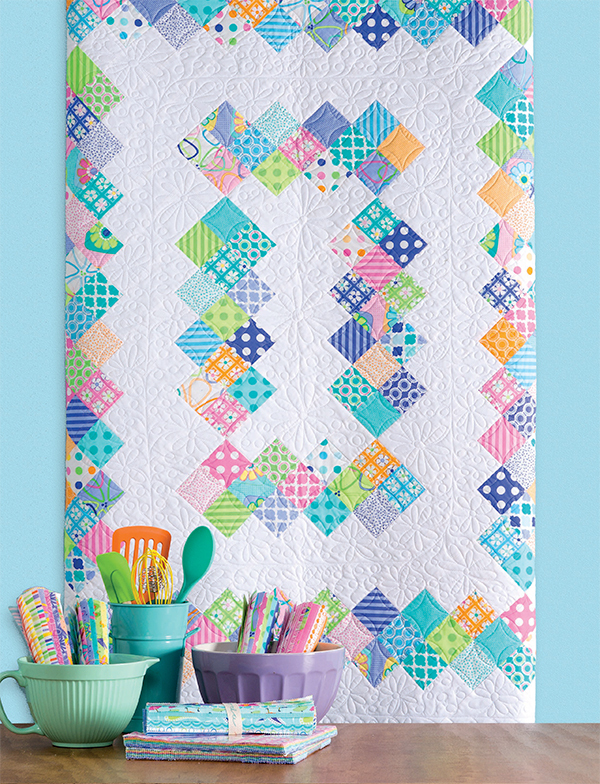 Put your Layer Cakes (or any 10″ fabric squares) to use in 11 easy quilts that are as pretty as can be. A Layer Cake, a background fabric, and maybe a border fabric or two are all you need to begin. 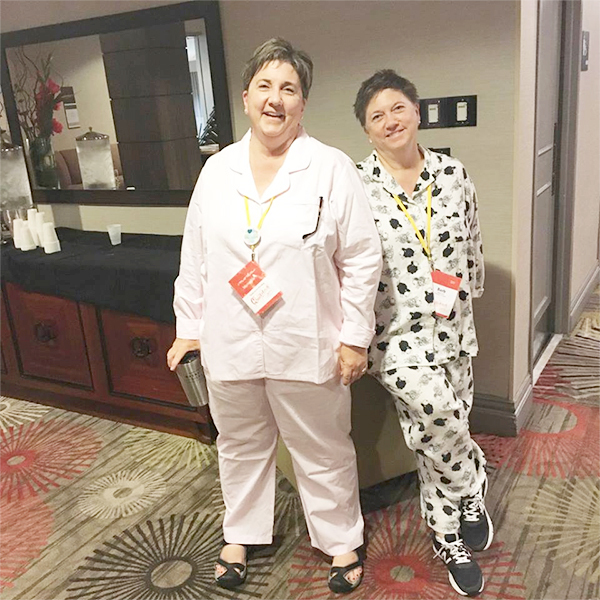 Barb and Mary make every quilting adventure fun—just ask the attendees of Moda and Martingale’s recent Quiltstock retreat. These popular quilt designers and teachers showed up in their jammies ready for some nighttime sewing with the retreaters! 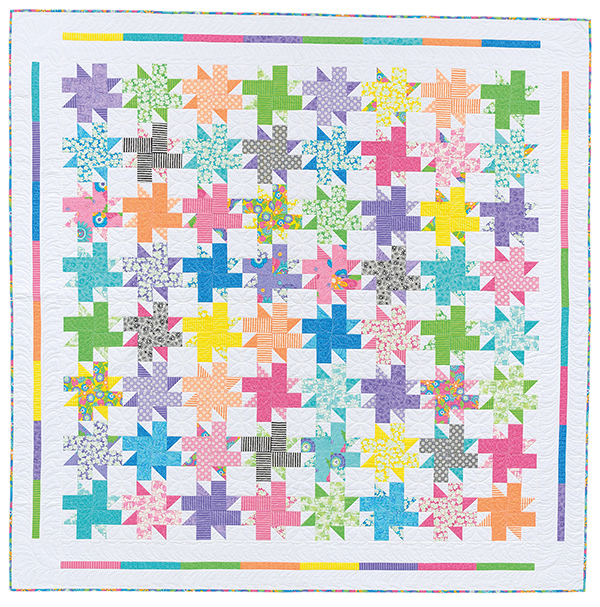 We’re excited to have Barb as a guest writer today, here to tell you more about Easy Layer-Cake Quilts 2. Welcome, Barb! Easy Layer-Cake Quilts 2! More cake! We had so much fun creating the first book that we decided to do it all over again. We love working with precuts, and Layer Cakes are one of our favorites! Precuts were just emerging onto the quilting scene when we first started designing fabric. Everyone wanted patterns that used these delicious new cuts. We fell in love with precuts and have been coming up with patterns to use them in ever since. So what is a Layer Cake? Can you eat it? Layer Cake is a term trademarked by Moda Fabrics to describe a bundle of 42 precut fabric squares that measure 10″ x 10″. Each Layer Cake usually contains at least one square of each fabric from an entire collection. They’re fast, fun, and easy to use! 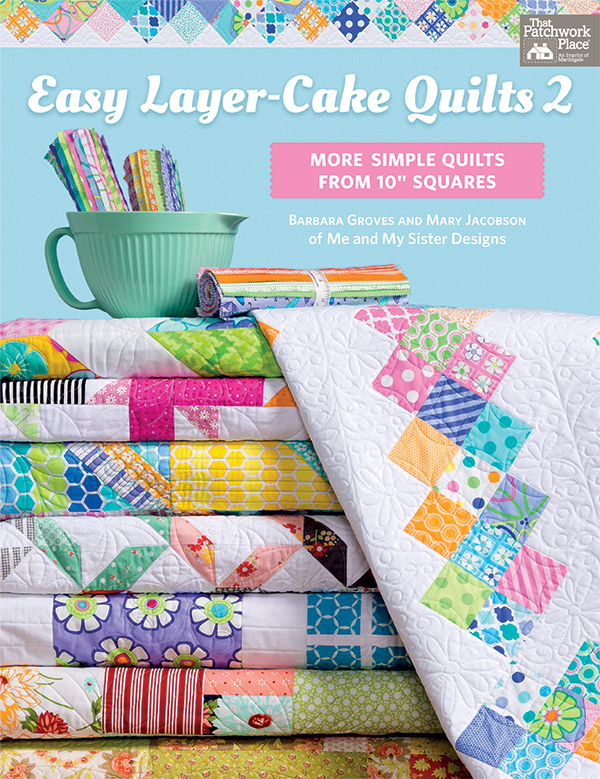 Our latest book is a follow-up to our previous book, Easy Layer-Cake Quilts. 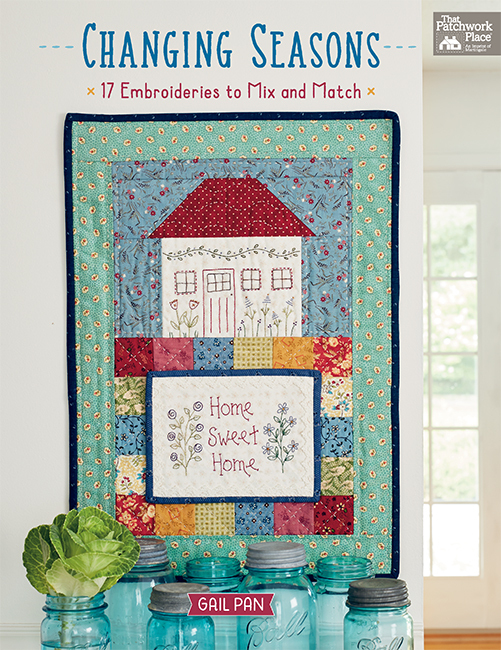 Just like in that book, Easy Layer-Cake Quilts 2 features 11 projects made specifically for using Layer Cake precuts. All of the quilts are designed for confident beginners and beyond. None are overly time intensive, and most can be completed in a few days. For best results, just be sure to read the “quilt recipes” carefully before cutting. Seconds are always better! Now you can have even MORE Layer-Cake fun. Thanks for filling us up with your yummy Layer-Cake quilts, Barb and Mary! Barb and Mary and our friends at Moda Fabrics sent us not one, but TWO delightful fat-quarter bundles to give away today: one from Me and My Sister Designs’ Confetti! line and one from their new Badda Bing line. Sew fun! We’ll choose two random winners one week from today and let you know by email if you win. Good luck! And if you’re ready to start cookin’ up a Layer Cake quilt now, order Easy Layer-Cake Quilts 2 at our website and you can instantly download the eBook for free. Thanks to all who entered the drawing. The winners are Rose and Nancy! I have at least a dozen later cakes in my stash. Five have been cut for quilts and are waiting to be pieced. I don’t want to think about how many could make out of my stash! I have so many stashed it would take me a whole day to find them. Just have to say I have a lot! Thanks for the awesome giveaway! I gave my niece 2 layer cakes, I believe that leaves me 7, lol. I have 2 and a jelly roll. I have 5 official precut layer cakes and could cut a bunch from my stash of FQs. Right now I have three actual layer cakes, but if I cut my FQ stash into 10″ squares I’d probably have a thousand or more. I have never used a layer cake. My stash could make a lot of them. Lots from my stash. It would take awhile to count. I do not have any layer cakes but could make a ton from my stash. I have at least a dozen layer cakes needing to be frosted into quilts. Just the pictures give you so many ideas. I would love this book. I have 2 layers cakes in my stash waiting for a great pattern! Oh my, I’m hanging my head in shame….only one layer cake in all my stash of pre-cuts! But this book looks so inspiring, I may have to go on a layer cake shopping spree! Hope I can win!! I don’t have any in my stash right now, but would be able to make quite a few from my stash! I have zero right now! Need to do some serious shopping……. I have two layer cakes. One I have a specific plan. The other is waiting for inspiration. I have one but I have bunches of fat quarter bundles! I have two completed and a couple more waiting the needle. Love the variety of the layer cakes. I currently have 3 layer cakes waiting for me! I have too many to count! So many projects, so little time! I have a Christmas layer cake by Moda, and it is so pretty, I can’t bear to chop it up – a book with new designs would sure help! I don’t have many layer cakes (or other precuts) because I don’t like dealing with the pinked edges that many of them have. However, I do like getting all the fabrics in a collection at once. Designers like Barb and Mary put together really wonderful collections!! I love layer cakes BUT just don’t know what to do with them! This book just might be the answer!! I have collected a dozen layer cakes from my favorite Moda designers that have not been baked into a quilt yet! My stash is sew big, I could probably cut a hundred layer cakes. I only have a couple layer cakes but could probably make plenty more from my stash. This set looks like so much fun! I would love to win it!!! I think I have made up all but on actual layer cake but could cut many, many from yardage. I have at least a dozen. I need to organize my stash! Love these projects! I have 4 layer cakes in autumn flannels to make hubby’s quilt. I have purples ands greens to make into a wedding quilt for nephew and fiancé. I have one baby flannel in preparation for their new baby once they think of having children. As for my stash, I would not want to guesstimate how many I could make with all of the fabrics that I have already, embarrassingly it is overwhelming to even think of how many I actually could make. I plan to retire from working within the next 4-5 years. Hopefully I can thin down my stash to start anew. It is a great idea to make what I have into pre-cuts to make it easier to get through the beautiful fabrics. I have no layer cakes, but would love to see what I could make with one. I have 3 layer cakes ready and waiting for inspiration. I have not yet purchased any layer cakes. Looks like fun, and I love the white backgrounds and bright colors in these quilts. I have over 25 layer cakes. Can’t wait to start baking!! I couldn’t guess how many layer cakes I could cut from my stash. Looks like a fun book to help cut that stash down. I think that I have three layer cakes waiting for the right project – and one of them is from Me and My Sister! I love the bright cheery fabric designs that they come up with. I have none right now but have made quilts with a few different ones. I am new to quilting and only have one layer cake, but it would make a beautiful Frendship quilt . Love that design! At least 30, maybe more! I only have 1 in my collection, but my stash can make up several. The one thing I discovered is that there is the same amount of fabric in one piece from a layer cake that there is in one jelly roll strip. So if you have patterns that take a jelly roll, sometimes you can use a layer cake. I learned that from Jenny Doan. I have 3 layer cakes on hand and can’t even image how many layer cakes I could make from my stash!!! Hmmm… how many? I believe I have 1 layer cake waiting and in my stash I couldn’t even guess!! I love Me & My Sister Designs and Fabric! So bright and cheerful! Thanks for the giveaway!! I have none now.But have made a few quilts from layer cakes. I have two layer cakes and I’m waiting for just the right recipe! Thanks for the giveaway!! Love my emails from Martingale! I have never purchased a layer cake. 🙁. Maybe it’s time. 2, I am interested in patterns to use them. I am using layer cakes in two projects right now and have several more in my stash. They’re great for making microwave bowls too. I love them! Only have 2 layer cakes waiting to bake. Beautiful fabrics! I have about 12 just waiting for the right project. The book looks great and I love the fabric. I too have 2 layer cakes and have laid them out and wondered just what pattern can I find that is perfect for this fabric?? Now, I know! How many could I make from my stash? I’d need some time and a calculator to figure that out! The patterns look great and the fabric bundles look so cheerful! I so need this book. I have at least a dozen layer cakes I have collected over the years, and could make an unimaginable number from my stash. LOL I really need ideas to use them all! Thanks for the chance to win the book, and more layers! One layer cake in my stash right now. Oh my – I have more layer cakes than I can count! I went from a few (of Me & My Sister) to oodles of layer cakes. If I love a line of fabric – voila – I buy the layer cake! And Me & My Sister have been my fave designers ever since I first laid eyes on their fabrics! I have a few layer cakes, a few jelly rolls, several charm packs, a few fat quarters and a few yards of fabric in my stash. Fun,fun, fun to create new items! I have a good number of layer cakes – I don’t know the exact number. They are so nice for having a great broad selection of yummy fabrics. I see several patterns in this book that would be great for using some of them up. I have at least 9, a few are dedicated to specific patterns. I love the color palette the sisters choose to work in. Thank you for the opportunity to win the book. The fabrics are luscious, and a wonderful bonus. it’s a ever changing number. Some waiting for inspiration, some waiting for a buddy and some just because! I don’t have any layer cakes, but I could make some from my stash. I have 2 just waiting to be cut up once I have the right inspiration! I think I have about 10 layer cakes and enough fabric to create a few hundred more! I know I’m a little obsessive! I’d better get busy. I have about 3 layer cakes in my stash and I could probably make more in my leftover scraps of fabric. I have their first book and I have already made a quilt from that book. would love to win. I have three layer cakes in my stash. I usually buy them only for specific projects. I have plenty of yardage but doing the math for how many layer cakes I could make is too much work! Let’s just say that I do have the fabric to make these quilts! Thanks for the giveaway. I have two half layer cakes (20 squares), but I also have a lot of stash which could be cut into the squares! I love layer cakes (well, if I’m being honest, I like all precuts!). And I love both of the sisters’ books. Thanks for the giveaway. I have two layer cakes and can’t decide what to do with them. I have a couple but could make up several dozen from stash! I love the fat quarter bundles! I love all precuts because you get the whole fabric line and they whip up a quilt pretty quickly with additional background yardage. I would love to try out their new book; thanks for the chance to win it. I don’t think I have bought any layer cakes but I have cut my own. As for how many layer cakes I could make from my stash, the answer is more than I can count! My sister has "shopped" in my stash! I love Layer Cakes. have made several quilts so far and have about 6 more Cakes waiting for the right patterns to come along and of course I’m drooling over several more as new ones come out. I could probably create dozens of layer cakes from my stash. Therefore, have none sitting on the shelf at present. I have 2 layer cakes but not decided on pattern yet! I have 3 layer cakes unopened and at least 3 more that I’m using for my current project. I have lots of charm packs, fat quarter and fat eighth bundles waiting for projects too! I could cut many layer cakes from my stash. I think I need this book! I love Moda layer cakes so much that I can never resist buying one when at a fabric shop…I currently have 15 layer cakes waiting to be served! I M so in love with the designs in your new book, and the fabrics are so cheerful. I really enjoy working with colors like that, they make you so happy, even if it’s a rainy gloomy day. Hope you both have a great day! I have one layer cake package. Just waiting for that special project. I have two layer cakes in my stash. I am an "equal opportunity" fabric purchaser, if it is on sale it’s equal. I have 3 layer cakes waiting to be made into quilts. Sometimes I pinch a print it two out of them tho. I just recently started using layer cakes. I’ve so far made 2 and have 2 more ready to piece. What fun!!!! I probably have a hundred so layer cakes! I probably have 4-5 layer cakes waiting to be used and I couldn’t even venture a guess if I cut my own out of my stash! First of all I love these two ladies and their fabric lines. I have done 3 quilts and working on my 4th scrappy quilt from their fabric. I have one layer cake in my stash right now but I could probably make about 10 more. Love the patterns in the new book. Thanks for the give-away opportunity! I have 0. Iv watched my sister-in-law Audrey turn out some beautiful quilts for years. She lives on the west coast me in Michigan. Iv made a few simple quilts. The layer cakes are beautiful just the way they are. So much potential. Id love to give one a try. And with the book I could do just that. I have three layer cakes, but a lot of fabric to make more!! I buy layer cakes and then hate to cut them up!! I love Me and My Sisters Designs. Great use of colors!! I think I must have at least 20 layer cakes in amongst my other fabrics. Easy quick patterns would be a great way to use them up. I have 1 layer cake – but I used 2 not too many months ago. As for how many my stash would make – oh there is no way I could calculate that!!! Too many to count! I have a huge box of them. Guess I need to get quilting! I have maybe 3 or 4 layer cakes but could cut hundreds from my stash I’m sure. My husband tells me I don’t need any more fabric, I tell him I need more space for it- that’s the only thing I need! I only have one layer cake at the moment because I promised my husband….gasp….to use my stash before I buy more. If I work it right I can sometimes get two quilts from one LC. I use leftovers to make baby quilts. Thanks for the opportunity to get the book! I love the first book. How many layer cakes? At least 6 that I know of – (that is, that isn’t hiding from someone!!) Probably closer to 10. It’s hard not to continually indulge. Had more, but just finished 2 quilts for wedding gifts. I love that I don’t need to mix and match – it’s done for me!! I have no layer cakes in waiting, but my stash could probably turn out many. I love the sisters’ fabric designs–so happy!!! I have 2 layer cakes in my stash. I can usually create 1-2 quilts from each depending on the design. I love precuts it makes the quilt come together faster. The pre-selected fabric takes the guess work out of picking fabrics that go together. I would love to win a fabric stash! Quilters can never have enought stash! I have a couple of layer cakes but haven’t used them, would love some ideas. Thsnks for a great give away. I have at least twenty layer cakes waiting. My favorite precut. I have two layer cake quilts ready to be baked. One in red and white and the other made entirely from leftover layer cake fabrics! What’s really great is they are for two baby girls that are cousins. One was born in July and the other will arrive in September. I love these quilts. I wish I could upload pictures for you. The quilts will be completed within the next two weeks. But the tops are just waiting impatiently to be married to their bottoms. I would love to win this giveaway. Quilting has been my solace since I lost my husband a few years ago and I love making quilts for gifts. All of the quilts come with a note that says, "This is YOUR quilt. You can nap with it, build a fort with it, have a picnic on it or just drag it around the house. Don’t let Mama put it away for you to have for your baby. This is YOUR quilt, made and given with love. Thank you for the chance to win! I have a 4 by 5 cabinet full of fabric and then some, fabric is so pretty I want to buy some every time I go to the fabric store! I have not bought any layer cakes yet but I bet I could make quite a few from my fabric. I do have a nice stash of fat quarters! I have never either purchased or used a "layer cake". I have one packaged layer cake and lots of fabric to make more! Love the patterns in this book! I have 3 layer cakes ready to be baked into spectacular quilts! My stash? WELL…let’s say I LOVE beautiful fabrics! The right fabric along with the right pattern…voila! A wonderful, sensory delight! I love My Sister and Me fabrics and books. Thanks so much for the chance to win! I have just recently become a quilter, so I only have one layer cake in my stash and could probably make maybe two more, but without much variance in the fabrics. My sister gifted me a Layer Cake bundle for my birthday. Let the baking, er quilting, begin! Ah…well I guess I have 9 layer cakes…. Perhaps I have been on a diet??? i just finished a layer cake quilt and cut the squares from fat qtrs’ i do have a "few layer cakes stashed away. I have one layer cake bundle that my sister gifted to me on my birthday….let the baking, err quilting, begin! Let’s just say "a few", but none of Barb and Mary’s, so would love to win this give away! Their fabric is so happy and makes me want to go to my sewing room and dig in! Thanks for the chance to win this awesome prize! I have one layer cake that I purchased, but I could make several more from my stash. I have 5 layer cakes, I think. And I could cut so many layer cakes from my stash yardage, I can’t even guess!! Lol. Thanks for the opportunity to win. I don’t know exactly how many ‘layer cakes’ I have, but I know I have more than one dozen, not counting the ones in kits! I’ve made more than a dozen quilts using layer cakes within the last 6 months!!!! I don’t have any layer cakes, but they sound delicious! Ha ha! Beautiful! Lately I make lots of hotpads and would love to make a large quilt again! Thank you for the inspiration and the giveaway! I finally stepped out of my fear and have 2!!! layer cakes. They look so pretty all bundled and ready to play with. I think layer cakes are so versatile, that they are too nice to break up the bundle. That is why winning this great draw would be the perfect prize. Trying to find just that certain piece (f0r me) is overwhelming. The stress and guessing is taken away when the bundle is packaged for you. Thank you for the opportunity to win such a wonderful bundle. I know that having a cake rack filled with dozens of cakes will help me cut into them and get started. Having the book as well would be the icing on the cake!! 0k. I went and counted exactly 14! Really thought I had more so looked again and found another 8! Time to get busy sewing these up and a book of inspiration just might help me out! Thank you for prompting me to inventory and face my challenge….. I have one layer cake bundle that I received for my birthday…..let the baking, err guilting, begin! We’re in the middle of a move so I cannot count. But if memory serves me, I don’t have that many. Maybe 10? I’d love to turn one of them into this "happy dance" quilt. I love everything from Me and My Sister. Wouldn’t it be a treat to be at a pajama party with these 2 ladies! I’d be overjoyed to win these beautiful fabrics! I have never used Layer Cakes before, but I have wanted to – I’m always "window shopping"! I think I only have 2 layer cakes right now, but they are so handy to have on hand and this book would be very helpful! I have 14 layers in my stash just waiting their turn to be mixed and baked! I think I only have two right now. Would love to win. I have 5 layer cakes waiting for this new fabulous book from Barb and Mary! In my stash? Endless! Thanks for the chance to win this great new book! I don’t have any layer cakes in my stash. I do like to pet my charm packs(about 3) and the jelly rolls. I don’t trust my sense of color combinations so I love it when I can get a "line" when every fabric is supposed to coordinate with all the others. Thanks! I have 19 layer cakes waiting to be baked. I LOVE THEM. However refuse to pay over$25 for them…..that’s my line. All looks very yummy! Would love to win and create something beautiful. Just used my last one but I could make half a zillion more! I have 1 true layer cake but I can make several from my healthy stash! Layer cakes are my favorites. I have “SEVERAL” waiting for me to come up with projects. I even have a couple of Me and My Sister layer cakes. I really do need this book. Thanks for the chance to win. Just have one in my stash but I could make half a zillion more. I have at least three layer cakes and I have made two quilts with others. I love the fabrics in the giveaway!!!!! I’ve never had a layer cake before. Now would be a good time to start. I have more than a dozen layer cakes waiting to be baked into quilts. That doesn’t include those in kits I’ve purchased. I have made about a dozen within the last six months. However, I could make gobs of layer cakes from my stash. I have only 1 layer cake. Right now I only have 2 pre-cut layer cakes but if I started cutting my fabric I would get buried under all of them..book really looks good and I will be getting one. Thank you for the contest. Too many to count on my fingers and toes!! I have three layer cakes and I have made two quilts with others. I love the fabrics in the giveaway!!!! Layer cakes are not one of my big collections, I have a few, but I have plenty of stash I could probably cut 10 inch squares from. too many to count with too few ideas to show them off. Thanks for the inspiration. Layer Cakes are my favorite precut! I could bake at least 1/2 dozen quilts, maybe more. I would have to go through my stash boxes to get an exact number. I have enough layer cake size flannel squares to finish 3 rag quilts. I have about 10 layer cakes and many more to be made from my stash. I have plenty to make these gorgeous quilts! Have a dozen or so layer cakes waiting to be baked in to quilts and could most likely cut lots more from my stash! I need this book! I have about 15 layer cakes and about 10 jelly rolls and a drawer full if charm squares to be used! I need sime inspiration and this book looks like it would fit the bill. I suspect there are at least 15 full size quilts in my precut stash! Thanks! Really love the ideas in this book and the fabric is gorgeous … especially Badda Bing! Hmmm … layer cakes, let’s just say I have several, it would take a while to hunt them all up for a count … and from my stash … think that would be several also! Thank you so much for the give-a-way … think I really need this book! I only have 2 layer cakes, one white on white print and one black and white print. I am not sure what I will do with them. They were given to me. I think I would like them for a quilt but I would like to add a little red to them. I have 6 layer cakes waiting to be made into a new quilt. Would be thrilled to get some new ideas in the new book. I have only one layer cake waiting to be turned into a quilt and have no idea how many I could create from fabrics in my stash. Please! I don’t want to even think about making my own layer cakes! I think I have about a dozen layer cakes … Plus I could make a million more from my stash! Hahaha! Have never(yet)used layer cakes. But these quilts look so inviting and cuddly…. Think I could make 2 quilts out of my stash, but some of the 10-inch squares might have to be pieced…. I only have 2 layer cakes sitting around and they are for a project yet to be started. I generally use them as soon as they enter my sewing room. I have three layer cakes. I love the pattern in these books. Pick me, please. Oh how I would love this book, I have so many layer cakes and fat quarters that I would make quite a pile of 10 inch blocks. But those fabrics are so yummy. I have at least 12 layer cakes and could make SOOOOO many more from my stash. I have loved Barb and Mary since their line Dilly Dally where I discovered my love of their fabrics. Would love to win this fabulous giveaway. Thanks. I think I have 1, but have lots of other precuts and yardage. Just waiting for the right inspiration to appear. No layer cakes, but I could make dozens of them from my stash! These quilts are beautiful! Me and My Sister designs rock! I only have three layer cakes, but a fabric library that could produce several dozen more if desired. The pictures from Easy Layer-Cake Quilts 2 are inspiring. Maybe my three layer cakes will turn into quilts this winter! I don’t have any layer cakes but would love to bake one! 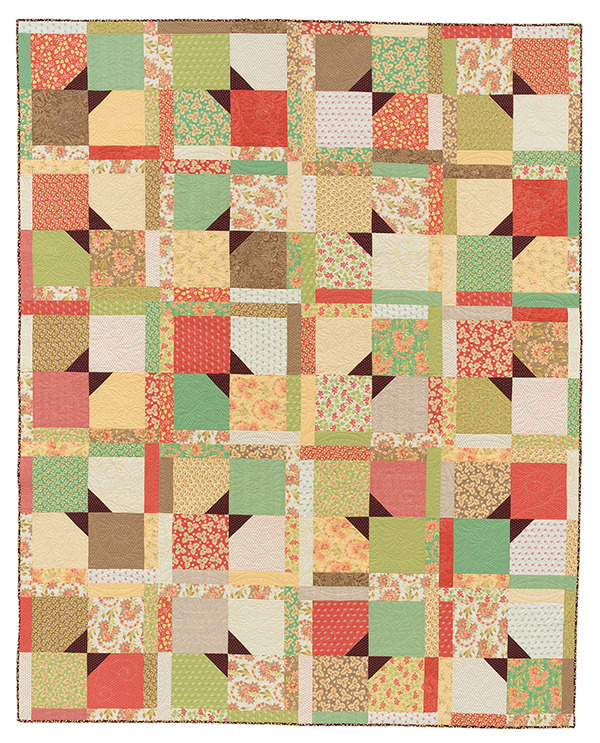 I would be doing the Happy Dance if I made the Happy Dance quilt…..it’s exquisite! I have no layer cakes in my stash 🙁 . I have yardage but precuts make it easier to want to get started !! Ohh ahh! I love this fabric and this book looks delightful! I don’t have any layer cakes waiting to be baked, but I could probably cut a few coordinating cakes (maybe 4?) from my stash. I have at least ten layer cakes and this book would be great to put them to good use. I have one and I bet one of the patterns in this new book would be perfect. Layer cakes tend to stay in cake form at my place – I currently have 2 and the yardage to do about 200. Commuting far to work full time, raise 3 boys on a farm and a husband out to sea…I need a book like this to inspire and get the cakes cut up and put into some cake quilts! Thanks for the opportunity. I probably have about 10 layer cakes right now. I need ideas to use them! Without going into my sewing room to count, I can think of 6 layer cakes ready or this book. Love fabric by Me and My Sister! I have no layer cakes but winning the precuts would be motivation to make one of the great quilts in the book !! I have only purchased about 6 layer-cakes, but I could make MANY, MANY from my overflowing stash. This book looks like so much fun! There are about six layer cakes in my stash. I need to get busy and sew them up soon. I have 4 layer cakes and am just waiting for inspiration. I think this book will give me the inspiration I need. I have at least 5 layer cakes waiting to be used. I love them! I think I could do maybe 10 layer cakes. I have so much fabric that I need to use that I could lots of different quilts. I have several jellyrolls but never bought a layer cake! Would love to win this!! 3 layer cakes….plus I add some yardage for borders and bindings…and it stretches my fabric to get a larger quilt. i don’t have any in my stash and could create about 50 at least! Sadly, I don’t have any right now—but I definitely have a craving after seeing these adorable quilts. I only have a couple right now, just sewed 7 tops from layer cakes! I can cut an unlimited amount from my stash though. My Granddaughter loves the quilts I have made her out of your fabrics! I am currently working on a Tossed 4 Patch out of 2 layer cakes. Love all of the pre-cuts! I’d say I have 3 or 4 layer cakes right now, but could make prolly 100 of them with my stash! I have 5 layer cakes waiting to be baked. Layer cakes are so much fun to buy – all that beautiful fabric at once. Thanks for the chance to win. I have 1 layer cake and would love to make some quilts from their current book. I like using smaller pieces of fabric. I have 4 layer cakes waiting to be baked into a quilt. So many ideas to use them for but so little time to get it done. Can you believe it! I don’t have any layer cakes at all. That’s because I like to “bake” and they get used up as soon as I I bring one home. I have enough fabric to probably make thousands but they wouldn’t coordinate like layer cakes do. That is why I love them so much. I think I only have 3 or 4 layer cakes waiting to be used, but the number I could make from my stash is astronomical. Let’s just say I could definitely make good use of this book. Thanks so much for the give-away! OMG!! I have one layer cake and probably could make many more from my stash! in fact have done that once or twice! the one I have I don’t have the heart to cut it!!! it’s to pretty . . .. I know call me crazy!!! I love layer cakes & have about 15, my stash could probably yield even moore, but they are such a great basic for a quilt. I could really use your book to use several up!! Love your lines, especially the bright colors. I have 3 layer cakes (we won’t talk about how many fat quarters and jelly rolls) and enough fabric to make at least 2 or 3 more layer cakes. My hope is that if I have a stash of fabric (and yarn) I will always have the materials to make for others. I believe I will wait no more!!!! This is what I need! I have 5. All that yummy fabric in a single purchase. Thanks for the chance to win. I dont have any, I wish I did! I had to downsize my stash for the move and what I did have just got ruined from flooding from the monsoon rains here in AZ. These are really pretty though! I would loooovvve some layer cakes! I bought several stacks for d-i-l to sew – but for me – nada!!!! I could use one to experiment and make one of the lovely quilts in your book! I love them all. Oh my gosh – I must have at least a dozen layer cakes including a couple from Me and My Sister designs. Buying them is the easy part…deciding on a pattern is the hard part! I would love to win both the fabric and the book. Love, love, love the new Layer Cake 2 book!! I have several layer cakes in my stash, but not so many fat quarter bundles. Well, I have 5 waiting for me and several that were completed into quilts! As far as how many could I make — I have a wall of fabric that could be cut!! Love Me and My Sister Designs quilts and their fabric lines!! They just make me happy! I have 6 layer cakes in my stash. I would love to win the book and fabric. Thanks for the giveaway! I have about 20 different layer cakes waiting. I buy them when they are on sale but haven’t used them yet.Time to dig in the stash! Would love to try some of your patterns. I don’t know what to do with just one square , I usually make bed size quilts and one is not enough for that I don’t think is it? Would love your suggestions!! !Thank You! I have 9 layer cakes ready to use! I love layer cakes! They always look so delicious!!! I have half a layer cake waiting to be used, because I mixed the first half with fabrics from my stash. Layer cakes are fun to work with – but if I’m honest, ANY fabric is fun to work with. Making layer cakes from the rest of my stash is a good idea too. The sisters have such happy fabric and such happy designs – how delightful! Love the patterns, they inspire me to use up my layer cake fabrics. I have at least 3 or 4 layer cakes waiting for a project. The Easy Layer Cakes Quilt-2 book looks like a very fun book in which to use them all up! Would love to win as it would surely help me. I have five layer cakes. I’ve never actually USED a layer cake. However, these new patterns look great and the fabrics are lovely! I have lots of layer cakes in my stash, but one can never have too many. I only wish I had the time to do all of these creations. I have the first book and love it! It would be great to win. I don’t have any precut layer cakes, but I could put together a dozen or more. My problem is that they wouldn’t coordinate well. I am not very good at putting fabrics together as they should be. I have enough for 5, oh my! I have 1 layer cake waiting in my stash. This is the first layer cake that I have purchased to try!! !Thanks for the giveaway would love to win! I have been saving a special one since spring. It is being mixed up right now and will be baked at our annual quilt retreat over Labor Day. I only have one partial layer cake, but I could make at least 25 from my stash! Those quilts are so pretty – so is the fabric. I have only ever purchased one layer cake, and was amazed at how much fabric there was, and how far it went. Must admit I would have many many layer cakes if I cut into my stash, but it would still be great to win one! I do not have any layer cakes yet. I have been waiting for the perfect pattern to use before I spend the money. This book gives me lots of ideas that would be perfect. Thanks for a great giveaway. I only have a few layer cakes but could definitely come up with more. Love these quilts! None. No Laura cakes. I haven’t been hooked on these yet. I’ve got at least 5 layer cakes in my stash – problem is, I pick quilts to make with them, then change my mind the next day when a new pattern comes along! I have a couple layer cakes but haven’t started any quilt with them yet. I am trying to finish some quilts I’ve already started. I have two layer cake sets I have not used. There is a large undetermined amount I could cut from my stash. I used to shop at Barb and Mary’s quilt store when it was open. They are lots of fun. I could create a TON of layer cake. The book looks great. I have at least 3 layer cakes in my stash now, and enough yardage to keep me busy … for life! The book would be a great guide for me! I have only 2 layer cakes in my little stash ( since I’m only a 1 year quilter) but am building my stash as fast as my budget allows! 😊 I love these beautiful pattern books and fabric! Would love to win! Only have 3 or 4 cakes but recently moved and need to downsize my stash. I haven’t been quilting very long but recently purchased two layer cakes as I’m intrigued. From my stash I could probably get several more. Would love to learn how to best use them. Quilting rocks! I think I might be terrified to count the number of layer cakes I could cut from my stash — and I have layer cakes to boot!! 🙂 This new book makes me want to start IMMEDIATELY — the question is: which one?! I’m not at home right no but I’m betting there are at least six. I don’t have any layer cakes at this time but I would love to try some out!! I have at least 5 layer cakes waiting for some inspiration. Book looks great! I have at least 5 layer cakes waiting for inspiration. Love your designs in fabric and quilts! My sister-in-law gave me 4 layer cakes as a gift. They are so pretty that I haven’t wanted to open them, but when I look at these cute patterns I have decided to do it! I have never purchased a layer cake, but with >300 fabrics, I could make several on my own. I have 3 layer cakes in my stash. I could probably create about 20 cakes from my stash! I’m newer to this stuff so I haven’t built up as much as some people. I do have a hundreds of small sized squares ready to sew up! The layer cake book looks exciting to try. Thanks for sharing. I have 5 layer cakes and enough stash to make dozens! Would love a chance to win this beautiful book! I have lots of Layer cakes. I love getting a larger taste of each fabric collection rather than limiting myself by the number of quarters I can afford. The books look wonderful! I have one layer cake in my stash. However, I could create many, many, many layer cakes from the fabrics in my stash. Might not be so beautifully coordinated as the precuts! Thanks for introducing this fun book. I don’t have any layer cakes in my stash, but I have plenty of fabric to cut several of them. Thank you for the chance to win the great giveaway. Love those fat quarters! I have enough stash to make 10 or more layer cakes. I have been sewing and quilting a long time! Always room for more! I only have a few layer cakes right now. I could make many, many more from my stash, though! I have one layer cake and a plan. I met these ladies at Quiltstock and I love them. They are talented AND so much fun! I do not have any. The shops I shop at do not carry very many. I currently have 22 layer cakes waiting to go into about 22 quilts. So many layer cakes, so little time! Actually, it’s better than the other way around! I have 2 ready to bake, the calories resulting from layer cakes from my stash is too much to even consider! There are two patterns from the new book that I have to make. OMG! If I just used my reproduction fabric stash, I’d have at least 50 layer cakes! I have two layer cakes. I’m using one to make large flying geese. The other cake is just waiting to be devoured! I just cut up my last one. Thanks so much for the giveaway! I don’t have any layer cakes, but I could cut some from my stash. Thank you for the chance to win the Fat Quarters! I only own 1 layer cake, but could make many, many from my stash! I currently have 8 layer cakes. I like to use them for donation quilts because they are easy to piece and the patterns and colors are coordinated. My arthritis makes the large size easier to put together. I have two Layer Cakes but could make thousands from my collected stash – a potpourri of quilts awaiting my attention. Oh dear, too many to count. I love using layer cakes as a start for scrap quilts as well as using the entire stack for a quilt top. My local quilt shop has been cutting 10 inch squares as "pops" to enhance a layer cake stash and allow quilters to work with a specific color scheme. I do have many of my layer cakes set aside for specific projects. Looking forward to browsing this new book. 2 layer cakes is the magic number and this book would certainly be the inspiration to get started. Fingers are crossed. Thanks for the chance. Love love love these colors and patterns!! I have 7 layer cakes and enough fabric to make 100+ more. I’m short on time – but not fabric! LOL I’d love to add to my stack of layer cakes. So much faster to work with when I have some time to sew. I have just completed my first layer cake quilt, a half square triangle trip around the world pattern. It was a quick project and turned out really nice. I could probably make a couple from my stash. I would love to win this gift. The fabrics and book look wonderful. 6 layer cakes waiting to be used! WOW, looks like a lot of entries, sure would like to win. They are beautiful. I have one as I have never used them before, always cut my own material. Can’t wait to get started on the one I have. LOVE pre-cuts! often mix them with solids so the lovely colors and patterns SHINE! I have just made my first layer cake quilt. I really enjoyed making it and it turned out great. I would ABSOLUTELY love to win this book and fabrics. What a fun book! I have three layer cakes ready to use and two of them have charm pack coordinates and one has a jelly roll coordinate, too! I have only used one layer cake ever, but I loved the ease of using the precut. Thank you! No layer cakes, too much yardage to guess! I have several layer cakes that are waiting to made up into a quilt. I really enjoyed taking a class from Barb & Mary. They are a LOT of fun! I’m just starting to venture into layer cakes. So exciting! I have about 6 layer cakes in my stash. However, I could probably make thousands from my stash! Thank you very much for the chance to win this great giveaway. I have two layer cakes just waiting to be baked ! This book looks like another winner! I have 7 layer cakes aging to perfection waiting for the perfect project. No layer cake to be used before the perfect project appears. I have more layer cakes than I care to count. This is something that is becoming a top priority – use these precuts. This book may be just the motivation I need to get going! I must have at least 20 layer cakes in my stash. I don’t think I can count as high as the number of 10″ squares I could cut from my stash. I don ‘t even want to think about how much time that would take! I have never used a layer cake. But I have made quite a few table runners and a couple of quilts using charm packs of which I have a Christmas pack waiting in the wings. I have at least 15 stacked and ready to be used. Am at present using one to make my granddaughter a doll bed quilt with enough to make one for her cousin. The colors of the quilts are gorgeous. Have 1 layer cake almost finished. One on the drawing board and one more in the works. Would love more fabric for future layer cakes. I saw 2 quilts in the Easy Layer-Cake Quilts 2 Book that I would like to make. Thanks for the great ideas. I am hooked on layer cakes and have your first book which I love using. I have 12 cakes waiting to sew. The best part is you get one or two of every colorway in a pack and you’d never find that in a shop or online. I just finished 2 quilts using your fabrics. I love brights and they’re perfect for that. Thanks for your wonderful fabrics and books. Hi,I’m a beginning quilter, so I have maybe 10 Layer Cakes! Love the looks of this book! Thanks for sharing! I have a few layer cakes, but could create quite a few more. I have about 15 stacked neatly ready to be used. The patterns and colors are beautiful. I am now in the process of using one of my stacks for a doll bed quilt for my granddaughter with enough leftover for her cousin. 2 waiting for the oven to heat up, 1 is a Me an My Sister Dresden the other for a yet to pick pattern Christmas quilt. I probably could cut from stash 3 more. Thinking the new Friendship pattern would be a likely candidate for the Christmas quilt. (hint hint) Thanks for a chance to win. I only own 1 layer cake but could make dozens out of my stash. I only have one unused right now! have used several for quilts, and if I started cutting in my stash, golly, I could cut for weeks and not be finished! Next purchase may be an accuquilt cutter… My favorite precuts are jelly rolls and layercakes. I do have some 5 inch, but only because they were 75% off and I could buy enough to finish a top! I only have one colored layer cake and two solid white ones. I definitely need to build up my layer cake inventory! I have around 30 Layer Cakes and could make soooo many from my stash! Love Me & My Sister fabric!! Have 2 of their Layer Cakes and a Jelly Roll. AWESOME giveaway, Thanks! Love the title, the pictures are "appetizing". I have 1 waiting to be made into a quilt. I have 4 dedicated layer cakes and probably enough yardage to create another couple. I love the bright colors in My Sisters and Me fabric!! I only have 1 real Layer Cake, but could create and infinite number from my stash! I have one layer cake already cut, but believe I could probably create five more from my stash. I’m making an educated guess that I have about 5 layer cakes waiting in the wings… including one from Barb and Mary But I could be totally under estimating. LOL! Thanks for the fun giveaway. I love the A Round the Block quilt! I have 1 layer cake. I just need the nerve to open it up. I have two layer cakes but from my stash if I started cutting them I would 50-100! Just guessing here. I love these ladies and their books. It would be a thrill to have this new book. I just finished a layer cake quilt for a gift. I love precuts because of the time they save and all the fabrics are coordinated and ready to go. I have 8 layer cakes in my stash waiting to be turned into quilty creations. I have 3 layer cakes of print fabrics and 3 layer cakes of solid/background fabrics ready to be used in "just the right design"…but the packaged cakes are just so cute all wrapped up, I’ve been hesitant to cut into them. Three that I can see! Would love to add another one to the line up!! I don’t know, but I’d sure like to find out!!! Winning would give me a great opportunity to try. Thank you for having this wonderful give away…gives each one of us who entered the hope of winning. I have some of these delicious squares waiting for me to create! too many projects! but get them created one at a time! always floating around in my mind, even when I’m at work! looking for the right pattern and these are beautiful! I have at least 1-2 laying around. Right now, one is a neutral waiting for a quilt idea. for the kick start with directions if I win your generous boost. I have at least 5 layer cake bundles waiting for the perfect quilt pattern! I have 15-20 layer cakes ready to bake bbut if I started to cut fabric I’d venture to say about a thousand, maybe more. I love the sisters and would love to have their book and fabric. I think I have about six layer cakes. I’m sure I could create at least a thousand from my stash. I have a couple layer cake bundles! Oh my, this has to be my favorite giveaway ever!!!! My favorite designers and I love this line!!! could cut more from my stash. I have 5 layer cakes. I fall in love with them. I think this book will help me use some of them. I have been looking for the perfect layer cake for a pattern I have. I could probably make 3 or 4 layer cakes from my stash though. There are zero layer cakes in my stash – more fat quarter bundles. I would guess that from coordinated fabrics or colors, it would be easy to cut an OMG number of layer cakes. I have two layer cakes— one is cut and ready to sew. My stash could probably create quite a few more. I have 4 layer cakes waiting to be opened. I have 8-10 layer cakes in my sewing room. I couldn’t begin to count how many I would have if I started cutting up my stash! I have 2 layer cakes to use right now.But from my stash oh my. I bet I could keep up with an unbelievable number of layer cakes. Too many to count. I would be awesome to win this book and start creating some awesome quilts. I have never purchased a layer cake, but I have enough fabric in my stash to make many, many, no way of knowing how many! Would love to have the book! Five already cut…countless in yardage. I have a couple of layer cakes but would love to have more. Love your designs. I have at least 40 layer cakes that are waiting to be cut and 2 that are in the process of being made into a quilt right now. I couldn’t begin to think of how many I could cut from my stash. I love layer cakes! I am not ashamed to say I have easily 40-50 layer cakes patiently waiting to be baked in my studio. Layer cakes are my favorite precut, hands down, love them! I have a dozen or more layer cakes and could probably make up a hundred more from my stash. 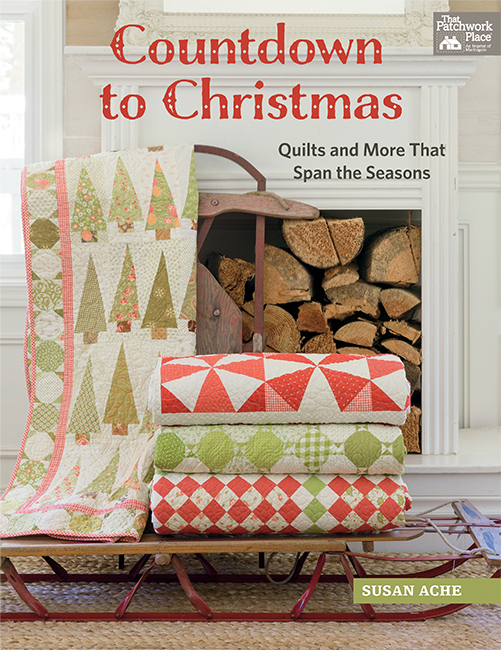 I’ve made several quilts from layer cakes and would love this book. I don’t have any layer cakes but would love to have some. I have about 12-15 layer cakes. I hoard them for just the right quilt. I have probably close to 20 layer cakes ready to be baked! Can’t get enough of them! I probably have at least 10 layer cakes stacks, and with all the quilting cotton could probably make maybe 40-50 more, I do tend to collect fabric..
along with coordinating 5″ squares and several honey bun rolls. My favorite past time is to quilt for family & friends. I would love to win either fabric bundles and your new book. Keep publishing such great patterns please. I adore layer cakes! So many fabrics, all wrapped up in a bow. I have about a half dozen. I have at least a dozen layer cakes if not more! Need more hours in the day to see everything I want to make. I don’t but many precuts,but I could make hundreds from my stash! I have several layer cakes and have forgotten the projects I ordered them for to begin with. 😯 As for making them from my stash is beyond my math skills!!! I need this book. I have at least 5 layer cakes and could probably create 8 to 10 more! I would love this book and fabric. I have 9 and the prints are so pretty I just keep looking at them and waiting for what pattern to use! This book looks great and will be on my get for Christmas list. Four right now. I gave one layer cake to my friend yesterday. I need to get more fat-free cakes like these. I try to use them as fast as I get them,but I probably have 1 stuck somewhere! Just cut my last layer cake…my stash…is 12 large plastic bins…let’s say 100+ layer cakes could be made. I have soooo many layer cakes…I just love them! I’ve already made 2 full quilts using them and have used one of them for an English Paper Piecing quilt. I love having coordinating fabrics to play with…it makes it so much easier! Thanks! I have 10 Layer cakes ready to sew! I am working on one Christmas theme layer cake quilt. Have done one Halloween layer cake quilt and gave it away. But, I liked it so much that I bought another set of the layer cake to make a second Halloween quilt. I am a collector of layer cakes…LOL….I have at least 25 in my collection. I’ve used a few, I was up to 30+!! Love the jammies, by the way! Great blog post!! I have 4 layer cakes presently; 1 is mixed and ready to sew. The other 3 are waiting for the right ingredients and recipe. I have made layer cakes from some of my stash as like the size. And how many could I make from my stash, too many to count! I have layer cakes (at least 6) and yardage "BARLE"–Beyond All Reasonable Life Expectancy! Deciding which beautiful fabrics to play with next is a real challenge. I have only two layer cakes, but have actually thought of cutting and assembling some of my stash into more. I could easily make 4 – 5 dozen from my stash. Thanks for the give-away! I have 11 purchased layer cakes waiting to be used. Could make MN any more from my stash lol. I am, a fabric addict. I have enough layer cakes to make tons of beautiful quilts! Just need more quilting time! Love the patterns in thus book as well as the first one. Have made several from that book and love them! I have 5 or 6 layer cakes. Have not worked with them very much and would like to learn more. Like the designs in the book. I think about 6 layer cakes. These are such cute quilts and I would love to pull out htose layer cakes and make some of these quilts. Thanks for the chance to win!! I love Layer Cakes AND Me and My Sister fabrics and designs and know this book would be wonderful to use! Thanks for the giveaway opportunity! I think I have about 6 Layer Cakes waiting to be utilized and God only knows how much could be cut from my stash!!! Upon recommendation of council, I plead the fifth as not to increminate myself. The sisters are such fun and I love their designs! I’ve never purchased a layer cake, but would be happy to try and use one. I have 10 layers cake awaiting use and could probably cut 10 times that many from stash! I’ve made at least 10 quilts already from layer cakes, too and am currently piecing one and quilting another. I have over 12 layer cakes waiting to be put in a quilt and this book would really help with that! I don’t have any right now. I used my last one to make a quilt for my granddaughter but I could make tons of layer cakes form my stash. I, too, love layer cakes! I have at least 10 waiting for my time. Ahhh, time. I have over 12 layer cakes just waiting to be put into quilts and this book would help with that! Oh goodness, I probably have ten layer cakes waiting for my attention. 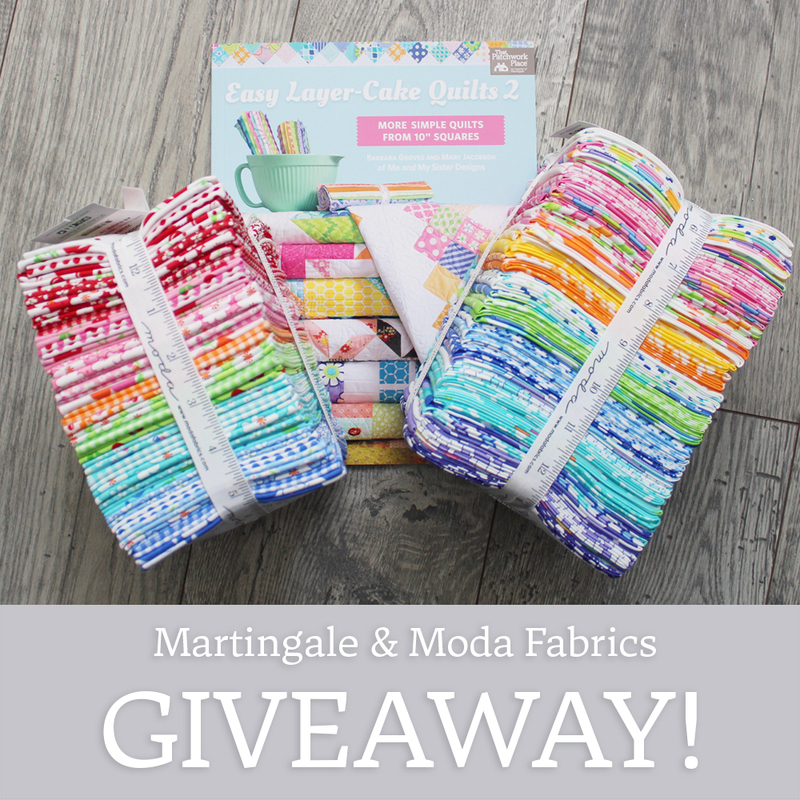 I would love to win this book and gorgeous fabric! I have no less then a few dozen packs of layer cake bundles that I couldn’t live without. I have patterns for every one and have the pack and pattern inside a plastic bag so they don’t get separated. The only problem I have, is there are only 24 hours in a day. I have been sewing my whole life. But didn’t start quilting until I retired 8 years ago. Now I eat, sleep and breath quilting. I have one layer cake in my stash. I couldn’t even begin to guess how many I could cut from my existing stash. 1 layer cake but plenty of stash fabric to cut! I’ve never used a layer cake. They look like fun. Love the book and I have two layer cakes ready to do something with. Without looking I would say 12 to 20 – what can I say, I just can’t resist them. I love the quilts in this book. I don’t buy precuts because they are just too too pretty to take apart. I love layer cakes.I have at least half a dozen. It is tough to use them because they are so pretty! Love the patterns and inspiration in this book! I love the quilts in this book. I don’t buy precuts because they are too too pretty to use up. Wow! I’ve lost count. My plans are to actually use some of these layer cakes. But where to start? These designs look like fun and I’d love to start on one. I currently have 4 layer cakes waiting to be used and 2 in the process of becoming quilts. I have half of a layer cake left. I bought one on sale and just used the fabric I needed for my project. I don’t think I have enough years left to cut up my stash into layer cakes! I have eight layer cakes just waiting for either of these Me and My Sister books! Thanks for offering such great quilting resources. I have 1 layer cake in my stash and I’m sure I could create MANY, many more from my stash! My stash is not giant so I could probably make about 20 layer cakes. I probably have 5 or 6. I recently bought the first layer cake book, but would love to have the second one too. I am building my stash as newbie so no layer cakes! I’ve seen thembut not knowhow to use sothis would be perfect for me! I have 2 waiting for me to cut. Looks like another great book and wonderful fabric. I have a few layer cakes but could make countless more from my stash. I have one still packaged and a life time of yardage waiting to be used. Need something fresh! I think I only have two layer cakes. My hand would give out if I tried to cut my entire stash into layer cakes. This appears to be a very colorful, fun and an informative book by the ‘sisters’. Would be a delight to add to the library. I have much stash and maybe with a clear recipe, I could whip up a special presentaton. I believe I have three layer cakes in my stash. Twenty? Not even gonna count but its a lot. My favorite precut. I love the books and badda bing. 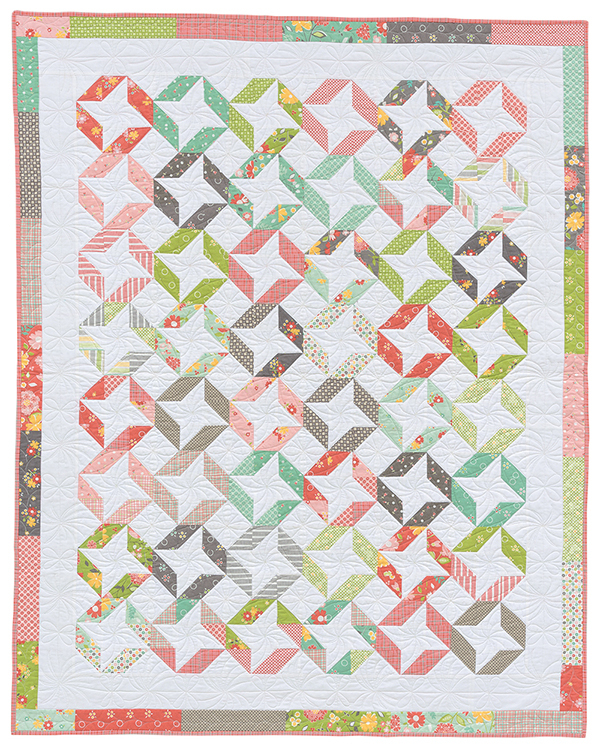 There’s an edge to edge digitized quilting design called badda boom. Sounds like a perfect match. I have the equivalent of 2-3 layer cakes sitting around but have no idea how many I could cut from my stash. I have so many layer cakes, it is a wonder I haven’t become 400 pounds! Me and My Sister fabrics are my favorite. I have three sitting here staring at me. One I’m pretty sure I know what pattern I’m going to use it for. But the other two I just WANTED. No plan, yet! I had been saving one special layer cake since spring. It is now being "mixed" and will be "baked" at our annual quilt retreat over Labor Day. I love precuts! I have about 20 layer cakes just waiting for more friends and lots of yardage that could be cut and added to the party. I really like the Easy Layer Cake Quilts 2 book! The quilts are really cute!! I don’t have any layer cakes right because I never really knew what to do with them (I started teaching myself how to make quilt tops about 10 years ago). I do not have any layer cake packeges in my stash, but I could pribably cut wuite a few from my stadh! I have 3 layer cakes( need more 😀 ) but with other fabrics I have the potential of maybe 40 more … I could really use this and the inspiration from the book.. thanks!! What? I don’t have any Layer Cakes – gotta get me some! The designs shown look great! I have never sewn a Layer Cake, made several thousand of the "other kind" in my lifetime though. I took a break from quilting but when I saw this book,Easy Layer Cakes 2, and the quilts in it, I knew it was time to start a diet and begin again! ! The fabric was simply delicious enough to make me gain five pounds! Thank you for the opportunity to start a brand new adventure! Hello from my sister and I to sisters Barb and Mary. Isn’t it fun to create with your sister!!! We have about 3 layer cakes and uncountable other possibilities from our large stash. Sometimes they are just the right size for art quilts too. I just counted…imagine my surprise to discover I have 3 totes of layer cakes dating back to 2013…153 layer cakes still in their new unused state! Not to mention the ones with a jelly roll, 2, 3, or 4 charm packs, and yardage to match in their own box with a pattern or 2 waiting to be made…Holy Cow,I think I need an intervention! LOL! I own both layer cake books, I’d better get busy! I don’t have any cut right now, but could make several from my stash. I have about 6 layer cakes in my stash. I recently gave one to my quilting friend and she has already finished her quilt! I think it was her first layer cake and she loved it. She made a lovely quilt. I have several layer cakes I’m just dying to use. I already have this book and just need to decide which quilt to make first! I have 8 layer cakes waiting for just the right pattern! When I see a layer cake fabric that I love, I purchase it without having a preconceived plan for it. Just cannot resist! I think i have maybe 10 layers cakes waiting to be incorporated in a quilt and could make too many to count with my stash. I think i need this book! and more fabric! I have the equivalent of 2-3 layer cakes but no idea about how many I could make from my stash. I have a couple layer cakes that I’ve purchased but not used yet. I could probably fill a small bakery if I started making layer cakes from my stash! I am getting ready to do my first layer cake quilt for my 4 year old granddaughter. Have looked at some of the different quilts at one of my favorite quilt shops in Shawnee, KS. Am excited to get it started. Right now I have 2 packs. Thanks for the chance to get more. Sadly, I’ve never made a layer cake quilt, and I don’t have any pre-cut squares to do so. However, I’ve made lots of charm quilts over several decades, and I always save all my scraps from previous projects to make those types of colorful quilts. I have worked with strip pieced quilts. They are great fun! The book looks so fun and colorful! I’d love to try a quilt specifically designed for this size fabric cut in the future! I don’t currently own any layer cakes, but I’m sure I could make quite a few from my stash. Love the cheery fabrics in this collection. Layer cakes are the perfect way to ‘sample’ the whole fabric line! I have several waiting to be baked!! I only have one at this time ,love the wonderful cheery fabrics from Me and my sister.Used their charm pack ,one of my favorite quilts . I have at least 20 layer cakes from fabric swapping with my friends that need to be made into quilts. The Easy layer Cakes 2 book has some really neat patterns that I would love to make. I think I have 5 or 6 layer cakes, but am sure I could make a dozen more from stash. I guess it is time to get sewing! I have stash, Jelly rolls and Charms but so far no Cakes. But would love to have these and get started on more quilts! I have about 8 layer cakes ready to be paired with this book and this fabric. Why not go for the gusto in your stash? There be quilts ahead matey! I have numerous layer cakes just waiting for the right design. Thanks for the chance to win this Me and My Sister’s new book. I have about 20 layer cakes and probably that many in my stash!! I do not own any official layer cakes. Ii would be great to start my collection with winning these. However, I could cut up several from my stash. What an interesting quilt book. I have at least 40 (if not more) just waiting thanks to my hubby who didn’t want me to be bored when I retired. This book (and the great fabric as well) would be a very welcome inspiration to use these layer cakes. I won’t tell you how many jelly rolls and charm packs I have! Thanks for the opportunity. I have 4 that are waiting for inspiration to hit me. And I can make a bunch more if needed. I have not bought a layer cake, but I have enough fabric to make at least 1/2 dozen! So pretty! I have not yet used a layer cake. I have enough stash to cut layer cakes to stock a bakery in Minnesota, where Scandinavians still have kafe and pastry three times a day. I would love to win the layer cake and your new book. Beautiful patterns to go with beautiful fabrics!! I have several that I am waiting for inspiration to hit me. And I could make some if I had to. I have tried twice and my comment hasn’t shown up. Why?? I think I have three layer cakes waiting for me. Can’t really figure out what to do with them just yet. This book may be a big help. I do not have any layer cakes. I would love to start using them with your gift. Oh, I would say 15 – 20. Layer cakes are my fav precut! I don’t have any layer cakes in my stash. I would sure love some though! Oh My! I never counted them! I have all of Jo Morton’s, Blackbird Designs, Collections for a Cause, Barbara Brackman’s, and Betsy Chutchian’s Layer Cakes with plans on what I am going to make with them BUT NOT ENOUGH TIME because I also buy one Jelly Roll and two Charm Packs of each collection! I love Layer Cakes because I like charm quilts and don’t use that much fabric. Thanks for the opportunity to win this great book and more fabric! I have too many Layer Cakes waiting to be baked into a quilts to count. This book looks like just the ticket to get me baking. I have 6 layer cakes. I own several Me and My Sister precuts and would love to win more! I have 4 or 5. Enough to give this awesome book a good workout! I don’t have any layer cakes but could make plenty with my stash. I have made five quilts using layer cakes. They are a versatile cut of fabric and I’m really interested in Barn and Mary’s new book. I don’t buy a lot of pre-cuts (have too much yardage that needs to be used up) I think I have 2 layer cakes in my stash. I am in love with layer cakes! I have at least 8 waiting to be made more beautiful! I think I have two layer cakes but I could make many out of the fabrics in my stash. I love the quilts in this book……beautiful colors! I’ve never purchased a layer cake, but saw a neat demo, using layer cakes, at a quilt shop this spring that I want to try! Boo on me! I don’t own a single layer cake; never have. I must get with the program. My excuse is that I have so much stash I could cut dozens of my own layer cakes were I so inclined. I do like the quilts in the new book, and if I don’t win anything, I’ll be happy to make them from my stash. I have 3 layer cakes waiting to be used. But I probably could make hundreds from my stash. I only have a few Layer Cakes in my stash at the moment. I would have to spend a few days doing all the math to figure out how many 10″ squares I could cut from my stash. I have never owned a Layer Cake but have plans for the future. They are so flexible and having an entire fabric collection would be dreamy! I doubt I’d go through the trouble of cutting my stash into one but getting one is a goal of mine! I have 6 layer cake bundles waiting to find a quilt. The new book sounds awesome – just what those bundles need to fulfill their lifelong dream! I do not have any layer cakes, but could probably make up at least one from my stash. There are 8 lovely layer cakes just sitting in my sewing room waiting for the right pattern. This book has such pretty designs, I’m sure I could manage to cut up a couple of my "cakes." More than i care to count-in love with layer cakes and colors. I don’t have any layer cakes waiting. As for how many I could cut from yardage, I have no idea. Too many!! I have four layer cakes waiting to go! I do not have any layer cakes yet but I do have lots of fabric and of course lots of scraps. This would be fun! I have one layer cake in the quilt piecing process and 3 more in hiding! I’m with a Project Linus chapter and have probably picked up some from our blanket day donation table. As far as how many can I get from the fabric I have, I really don’t know. I have at least two, maybe more…. I have two layer cakes waiting for me to play with. I have maybe over 50 and we won’t even think about all the other precuts. I NEED some inspiration! This book looks just lovely! I don’t have any layer cakes but I do have a lot of yardage. I will say 10 or more quilts. I have 3 layer cakes waiting for me. I just love Me & My Sister fabric designs as well as their patterns. I have the 3 Times the Charm-Book 2, and would love to have this book for using layer cakes! Thanks so much. I think I have two untouched and one that I started cutting. I would love to win this book. There are some really nice quilts in it! Thank you. 10 right now. But, how many could I get? Probably about 1200?! Did I mention I have a weakness for fabric? 🙂 Thanks for the give-away! I can’t begin to count how many layer cakes I can make from my stash. I do have 15 to 20 layer cakes waiting to go. The book would be the encouragement to start. I can’t begin to count how many layer cakes I can make from my stash. I have 15 to 20 layer cakes waiting to do something with. The book would be the encouragement to start a project. I have 15 or so layer cakes. Plus many 10 inch squares cut from scraps. Great book! Thank you for the chance. I don’t believe I have any layer cakes in my stash, but to know for sure I would have to mount a 30-day recon mission into my sewing room with no guarantee of success! If I were to create my own layer cakes from my stash, I could probably supply a small village for two years! Yep, I need some inspiration and motivation! I have two layer cakes that I won in an online contest a couple of years ago. I do have ideas for using them. We won’t talk about how many layer cakes I could make from my stash. I have no layer cakes and never had.i could make some from my stash. Thanks for the chance. I have over a dozen. These fabrics will be fun to work with! I would love some new inspiration and see several patterns I could get started on. I only have 2 pre-cut layer cakes right now. But I think I could make maybe 50 or more with my stash..lol. Thank you for the contest and the book is on my wish list now. I have many, many, many layer cakes. I have banned myself from buying more. I will buy this book however. I probably have 10 to 15 layer cakes. Just waiting for inspiration!!! I don’t have any later cakes and could make quite a few from my stash. Love your fabrics and books! Thanks for opportunity for a great give a way!! I don’t have any layer cakes and I think I would be extremely embarassed if I knew just how many layer cakes I coukd make with my stash! I have 5 layer cakes. plus lots of stash that I could cut into more! I love Me and My Sister! So fun. Thanks for the opportunity. I have about 3/4 of a layer cake, but I bet I could make several thousand! Believe it or not, I don’t have any layer cakes. However I could make quite a few the my stash. Thanks for the chance to win. I have at least 5-6 layer cakes but more that are fat quarters and my stash! Thank you for this giveaway! I have one ready to be baked and too many more to count in my stash!! Oh my goodness, I could probably make at least 20 layer cakes with my fabric stash! Hehe. I use it up prety quickly but i am always restocking! Ive never used a layer cake before, but I do have a couple charm packs. I use them to accent my stash fabric collection in my projects. I love this new book…the patterns look fantastic! To win, so I can use all my fat quarters would be awesome! Thank you for the opportunity!! Layer cakes, jelly rolls, charm squares – I have them all! Too many to count but can always use more. Would love this book to help reduce the stash. I have three or four in my stash and since I have mostly fat quarters in my stash it would be whatever I could get from them. It’s not a huge stash like some, but enough to keep me creating! I have a few Bonnie and Camillie layer cakes, but I could make a WHOLE LOTTA squares if I need to! i think i may never have to buy another piece of fabric based on my stash…but who can help it! I don’t have any layer cakes and I think I would be extremely embarassed if I knew just how many layer cakes I could make with my stash! I would need a safety line and a packed lunch just to venture into the fabric zone. I have 4 cake recipes and I’ve made 3 but I have probably 6 layer cakes. I LOVE them! I’VE NOW GOTTEN FRIENDS INTO THE RECIPE MODE. WHAT A FUN BOOK!!!!!!!!! I have 6 Layer cakes, one of them is Flannel. winter is coming. I need this book and would love the FQ Bundle!! I have no layer cakes waiting….but I could make a MILLION with my stash! At our retreat last your I made an orange layer cake from my stash for our silent auction, it was a hit! I have one actual layer cake. In other fabric that is equivalent to layer cakes, I am not sure I can comment?! Probably enough to make 30 layer cakes, as a guess. Love this book! Great front cover! I currently have 66 layer cakes,but could make probably make another 75 more from my stash. I haven’t found patterns that I truly want to do with the layer cakes, but the fabrics in them are wonderful. Perhaps a book like this would be the trick. I have 2 layer cakes, 1 small bolt white cotton and many scraps! I do have a little stash of Thimbleberries, I have not used yet plus some batiks. Love those bright happy colors! I only have one layer cake – I need more fabric please!! I have 2 layer cakes & have a pattern for one of them but am looking for a good one for the other. This book would be a great way to figure that out! I haven’t ever cut into a layer cake before, need some help! Oh my stash !!! Perhaps 5 layer cakes if I stood cutting away. Would rather buy co ordinated beautiful layer cakes …. I would need 3 to make a beautiful quilt for my bed ….. I have 3 layer cakes. Mostly my “stash” is comprised of yardage. I’m only recently discovering the joy of precuts! I have at least 20 Layer Cakes, a lot of colored ones and another 10 that are white and black to make something with. This book sounds like the perfect solution for my stash. I love all the videos, patterns and books from Me and My Sister. I haven’t purchased layer cakes, but I’ve gotten inspired! I have a couple waiting to become masterpieces and can’t even think of how many I could create myself…. Oh my, I love all the possible quilts that can be made with layer cakes. The 19 layer cakes that are in my cupboard are just waiting to be sewn into a quilt to be used and loved. I probably have about 20 layer cakes waiting for "baking". I do really love them as they are so versitle. I am currently on a fabric diet so winning your bundles would be such a treat as I haven’t had any new goodies in such a long time. Appreciate your humor, keep on quilting! i actually only have one layer cake, but theres no telling how many could be made from my stash! would lo e to win! I have 2 layer cakes at present on display, haha. I will tell how many layer cakes I have in my stash as that number is way less embarrassing than the number of layer cakes I could make! There are twelve layer cakes on the shelves and enough "orphan" layer cake squares to create another two cakes. Thanks for sharing and for offering this giveaway. I have about 40 currently in my stash and could cut countless others. This looks like a great book to bust some stash. I have at least 5 layer cakes for projects. I could make a whole lot from my stash. I currently have one layer cake in progress. I currently have about 40, and could cut countless from the stash….it is a substance abuse issue. This looks like a fabulous book to bust some stash. What a wonderful book! I love quilts that can be made from precuts. Unfortunately I don’t currently have any layer cakes in my stash. Winning this giveaway would solve this problem and inspire me to expand my quilting options. Thanks for the fantastic giveaway. 3 layer cakes. dont ask me how may charms. lol i love me and my sister! Only 4…so I definitely need more! I just have a couple layer cakes waiting for the perfect book, and I think this may be it! Thanks for the preview of this new book and the chance to win. I have at least 5 layer cakes and I could create many more from my stash. Would love to add some more to my stash and the book looks like it could help the process. If I won to would just add to my fun. I probably have at least a half a dozen layer cakes waiting! Thanks for the chance to win!! I have two layer cakes waiting to be made into projects. I could make at least 30 out of my stash. So many ideas, not enough time! I have about half a dozen layer cakes waiting for me to use them. I could make many more from my stash. Usually when I use pre-cuts I mix in stuff from my stash to make my own mix of fabrics. Oh I hate to admit it I have about 6 layers cakes to "bake" up! Of course I can make some up from my stash too!! lol I love layer cakes! Thank you for the chance! I could use this book!! I have 2 layer cakes waiting to bake. I like cake do there may be more soon! Ten layer cakes ready to go! I have at least 5 waiting in my fabric aging closet. I currently have 4 layer cakes waiting to be baked. I am new to precuts but i currently have 2 waiting for projects and 1 in process. At least a dozen scrumptious layer cakes waiting their turn to be sewn into beautiful quilts! Love that New collection from The Sisters! They’re so awesome. I have a whole bakery to bake but Never tire of adding to the cubbord!! The more the Merrier!! Love the new cake recipes!! They are new to me but Love doing them!! Also Love the new "badda Bing" line! Can’t wait to get some!! I have 6 layer cakes waiting to be made into something awesome. As far as my stash I can’t even begin to figure out how many layer cakes could be made from my stash. My sewing room is newly reorganized with better fabric storage and ease of use. I think I have 12 layer cakes ready yo be baked! I really do need these new recipes to finish my baking! These patterns are so great! I’m sure I could get right on them!!! I have 5 layer cakes waiting, I have promised a quilt to every one of my siblings and nieces and nephews before I die, 16 total, 4 down 12 to go/ all want queen size… so your book would be a huge help for motivation…HELP…. I have 6 layer cakes ready to be baked for Christmas gifts. Started my first Christmas gift quilt yesterday, the quilt top is 50% finished. I don’t have any layer cakes. My yardage stash is a lot of odds and ends sorted into color category. I could make millions of layer cakes from my stash, but it would not be from the same fabric line. Thankyou for the giveaway. I have 2 layer cakes waiting!! This book would be awesome!! I only have 2 cake mixes waiting on me, but from my layer cake stash I could make at least 20 quilts. Right now I have eight layer cakes. I could make so many more from my stash! I love their fabrics!! I love the pj picture! It reminds me of my sister, Karin and I! Right now I have eight layer cakes. I could make so many more from my stash! I love their fabrics! I currently have fourteen layer cakes. I have chosen a pattern for one of them already but thirteen others are waiting to come to life. I see two patterns in your new book, Easy Layer Cake Quilts 2, that would work great for one of my layer cakes. I have a baker’s dozen but have good intentions to get them baked and on the beds. Nothing in the oven to be baked! But I love to quilt and would cook up a storm with your beautiful fabric and pattern! If I’m not chosen for your generous giveaway, I’d love to purchase it! My stash? Oh the smoke alarm could go off! I didn’t read the directions very well. Oops! I have one layer cake in my mind eye! We are remodeling our office / sewing room, and I have a new color scheme in mind . So I will start the creative process to coordinate with the remodel! I only have one precut but would have many if I began cutting. Fall projects!! I have zero in my fabrics. Never had the opportunity to make a quilt calling for them. A bucket list item! I have enough stash to make at least a dozen layer cakes. Love this fabric. Thanks for sharing. I have only one Layer Cake waiting to be made into a quilt. I wasn’t sure what pattern to use but I think I’ve found it now. I love Happy Dance! I have 5 layer cakes. These new fabrics and book are fabulous! No layer cakes–lots of charms and jelly rolls–but I could get over a dozen from my fabric stash…. Well a funny thing happens every time I get a layer cake – I use it. So I don’t have any right now but could make a few dozen from my stash. And I have Cake Mix papers ready to use on them. Would love this prize and put it to good use! I have 3 layer cakes and I could make a few from my stash. I have 3 layer cakes and I am sewing with them now. I have a cabinet full of layer cakes and other precuts waiting to be baked. I have yardage to cut many,many more. I know they multiply…because I sew every day and I never run out! I love the new book! I have 3, one has been used and two that haven’t. I love the quilts in this book! They are beautiful!! I’ve never made a layer cake and would like to try. Just cleaned up my sewing room and could probably make several. Since my kids all say they have enough quilts I’m just making them for charity now. I have two or three layer cakes waiting to be made into a quilt. I love this book! I have 1 layer cake and can’t even imagine how many I could cut. I have a few layer cakes ready to cook. I don’t have whole fabric lines in my stash, but I could put together a lot of coordinated layer cakes from my stash. I have at least 2 dozen layer cakes in my stash. I have the ability to make at least 2 dozen, if not more, from my very unmanageable stash. This book would help tremendously! Thanks for the chance tho win! I have 11 layer cakes waiting for me. Guess I should put away the screens and get busy sewing. I have one layer cake. I could probably create 10 more from my stash. I have only 1 layer cake, but would love to have more! I don’t have any! I would love to make this though! So cute! I have approximately 10 layer cakes in my stash….the number of layer cakes I could make out of the rest of my stash is immeasurable!!!!! My stash is huge, and is something I share with my friends. I have only two layer cakes waiting. I baked a few this summer but I probably could make a few “dozen” lol!!!! I have three waiting to be used. Love your fabrics and beautiful colors! I have several delicious cakes waiting, and could do many from my yardage. Love the ideas in the book!! I have 2 waiting to become beautiful quilts! I may have 3 layer cakes. But I know where I can get more if I am lucky to receive this sweet book. I currently have 4 in my stash! Needing some more recipes to bake them up! I don’t have enough fingers and toes to count them all! I HAVE 27 LAYCAKES WAITING TO BE BAKED. AND SEVERAL PATTERN SHEETS. MY NEW FAVORITE IS "THE FFA" FABRIC. NEED TO COME UP WITH AN IDEA ON A RECIPE AND GET IT BAKED BEFORE A NEW CAKE RECIPE COMES MY WAY. THANKS KAREN. I have at least 5 Layer-Cakes that I can pull to make quilts. There’s probably another 2-3 that I could make from yardage. I would so love to have this book & one of these fat quarter bundles to quilt with!!! I have three layer cakes and dozens more that I could make from my stash! I have 7 specific layer cakes waiting for me to take the time for their projects. I don’t own any layer cakes…..yet! LOL But considering I have purchased over 100 yards in the last 8 months, I could easily cut up the yardage to make about 38? At least 3! Plus coordinating fabrics! I mostly have charms (including one set by the authors), rather than layer cakes. I may have one in process and one in the drawer. These are lovely prints. I don’t have any later cakes right now, but I could probably cut dozens from my stash! Sadly I do not have any layer cakes but with all your great ideas I plan to cut some of my fabric collection into layer cakes. 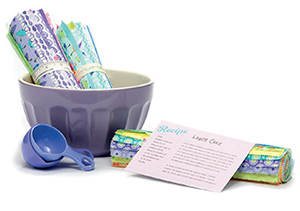 I’d loved to be a winner of the lovely fabric collections they are so bright and uplifting. I have been working so hard to use up my precuts- down to 4 layer cakes. I have 3 unopened layer cakes. Since you can cut 12 10” squares from a yard, my stash would be able to supply hmmmmm? I have 15 layer cakes waiting and about 25 yards of fabric that could be cut into many many layer cakes, oh and I have only been quilting for about 18 months. I think I have about 23 layer cakes sitting waiting to be baked! And oh dear… I am not going to count how many I could make from my stash! I have 5 currently, waiting for a good project. There’s no telling how many I could make from my stash! I have 2 or 3 waiting to be baked but could make anymore from my stash. The designs in the book scrumptious!! Thanks for the chance to win. Well, I don’t have any Layer Cakes in my stash, because I use them as soon as I buy them. However, I could make lots and lots of 10” squares from the fabric in my stash. I have 2 or 3 waiting to be baked. I could make many more from my stash. I would love to add this book to my collections. I just recently started buying precuts. I have never bought a layer cake, but I own two fat quarter bundles and a jelly roll. I could probably cut out a few dozen layer cakes from my stash, and barely make a dent. I have three layer cakes in my stash just waiting to be cooked up!! I think I have 6! That book looks like it has great possibilities for Baby quilts! Thats what I’ve been making this summer for my nieces, and those wonderful bundles look like they would work for a few more. Babies getting wrapped in quilty love! Sadly I only have one. And do the happy dance! I have so many layer cakes because I love collections and a layer cake lets me admire all the fabrics in a collection. The problem is I like them so much I’m afraid to cut them up. As for my stash, I have many many containers so that would make so many more. I do like the patterns shown in this book so maybe I could cut up one or two to make some of those pretty projects. I bet they would be just as pretty as the uncut layer cake so then I could keep going. Thanks for the opportunity! I only have 1 layer cake set and would love to get this book so I could make something with it and I love the fabrics in this drawing. So happy and fun. Hi, I don’t have any layer cakes. I have been cutting my own 10 inch squares and making soup bowl cozies for presents. This book and fabric look wonderful! I could bake these up. Thanks for sharing! this as this book looks awesome. perhaps 6. I’ve used several this summer making baby quilts for my nieces. And I see some great possibilities in that new book! And I’m sure I could make something with those fabrics to wrap those new babies in quilty love! I have two layer cakes readily available, but could make many more with leftovers from other projects…and probably will. Half a layer cake. It was my first layer cake and SO much fun to use! I have about 7 layer cakes waiting to be baked! 23! I have 23, so I guess I’m ready to get baking….I mean sewing. I could make 10 layer cakes with my stash. What a fun giveaway. I actually have never owned a layer cake, lots of charm packs and a few jelly rolls, but no layer cakes. I probably have 4 Layer Cakes waiting and could probably make a dozen more from my stash. I like using pre-cuts and am making a Jelly Roll Race this week. Thank you for the opportunity to win more fabric. I could use your book more. I can see approx 10 on my shelve but I know there is more! Some have designated quilt for them others I just loved the fabric! I need more cakes in my life!! I only have two layer cakes. but i do have a set of four Me and My sister charm packs just waiting for a decent pattern to use them. Would love to win both the book and the layer cake. I don’t have "pre cuts". I am in the process of cutting my fabric into precuts and "encouraging" people to adopting what I don’t want to keep. I really like the idea of scrappy quilts like my Mamaw made – I have several. Watching me, her quote was usually 1) that piece will look good and 2) that piece is NOT too small – make a string square. I have stars made of string squares. I love the idea of carrying on the tradition of Mamaw, her sisters-in-laws and her friends whom I grew up following. She taught me to quilt when I was 4. She marked my thumb with 1/4″ lines, I sat under the frame (4 boards attached to 4 kitchen chairs), she pushed the needle from the top and, using my thumb marks, pushed it back up to her. I think I have 5 layer cakes, but I could make many, many, many more from my stash! Truthfully, I only have maybe 2 layer cakes in my stash right now. But I could cut about a zillion from my yardage! I have one of those "cake mix" paper pads that I would like to stitch up. So many projects, so little time! Thanks for the opportunity to win. I have about 30-40 layer cakes, but I like to keep precuts of all sizes on hand. I love the first "Layer Cake" book; would LOVE to have the second! I have about 5 layer cakes. Ithink that I currently have4 layer cakes in my stash, and I am not even going to think about how many I could cut from my stash. not enough time to finish my projects. I have never purchased a layer cake, but could make probably 50 or more from my stash since I’ve quite a collection of fabrics from quilting since l978. I would be fun to have one try! I can’t even count how many “Happy Dance” quilts I could make from my stash but it’s a lot! I have about 10 layer cakes waiting for a pattern. This book would be perfect for them. I have no layer cakes right now but have had fun using them in the past. Time to get more! I have at least four layer cakes ready, one in process, and I don’t want to do the math to figure out the yardage into layer cakes. Let’s just say it’s not as much as some…alll of my stash fits in a medium sized tote. I don’t have any layer cakes waiting, but I could cut at least a bazillion from my stash! You don’t want to know! I’ve put all my fabrics I no longer want and all left-overs into a few boxes. I have the Electric Go Big Accuquilt cutter and the 10″ die so I’m busy – or should I say my husband is – cutting to make charity quilts for a variety of places – homeless shelters, womens’ shelters, hospitals, and seniors’ residences. Would love this book! Thank s book looks awesome! I really could use it to use up my 12 layer cakes I have waiting on my shelf! You know I want to buy more but…one should use one or two of them up before adding more. Thanks for creating yet another book of patterns to share! I’ve never had layer cakes but could probably put together 100 from my stash. I have one layer cake. However my stash is such, I could make 200 or more. Lol. I love the way the patterns and fabric create movement in the patterns in this book. I probably have close to 25 layer cakes and i coul create over 100, I’m sure, from all my other fabric!! I just love fabric! I can’t help myself. I do not have any layer cakes. I now have three layer cakes, two in Christmas fabrics and one in a bright print, that I would like to use to make gifts for my non-sewing friends. I have 3 layer cakes and stash to make many more. Love the bright fabrics in the bundles to be won! I have 2 layer cakes waiting and could possibly make 8 -10 with my stash. I have 4 layer cakes waiting to be quilts. Officially only a half, i.e, small pkg; I could cut up for more but that is more wishful thinking than action; I like layer cakes, made one quilt; and it was fun and easy and want to do more, and hopefully find a "short stack"
I have at least 6 layer cakes, and I love to buy them, but never know what to do with them after I get them! Your book looks wonderful, I would love to win it! I probably have around 10 to 12 layer cakes waiting for inspiration. I have about 7 or 8 layer cakes waiting to be “baked”. I don’t even want to think about how many I could make out of my stash! Thanks for the chance to win. The book looks like very inspirational too! I have about 10 layer cakes currently. I couldn’t count the number of layer cakes I could cut from my stash. Would love to add one of these giveaways to my stash! I have 4 layer cakes right now waiting to be used in a quilt. I have at 7 layer cakes and can probably make another one with fabric from my stash! I have 1 layer cake! I just discovered how creative, flexible and organized I can be with these mixes. Now,it will be my go to recipe! I have 2 layer cakes and would love to get more!!! I have 2 layer cakes and would love to get more soon! I have four layer cakes and I could create a whole bakery of layer cakes from my stash. I have two layer cakes right now waiting to be made into quilts. I have a Halloween layer cake that needs making but maybe by next year. My cauldron is already bubbling over. I also have fabric I can’t remember where it came from or why I have it. I could whack out some lovely stacks of ten inch squares for a quilting coven. I only have one right now that is for a quilt in progress. I have not worked with layer cakes much but I’m fascinated by the many things you can do with them. I have 1 layer cake and enough yardage of the same fabric to make another 1/2. There were 28 lights and 14 darks in the layer cake I bought and I needed equal numbers of each for my quilt, so I ordered more fabric to match. Now to get to work!!! I wish I knew. I LOVE layer cakes and just keep ordering them. Have one under my needle today. I have used Charm pigs and have three Mini Charms pkg. Waiting for inspiration. But, Honestly, I’ve never bought a layer cake, I would do my happy dance if I won one of these! Love the colors. I have one layer cake and anxious to get started sewing and see what happens. Then I need a book to go with it. I probably have six right now waiting to be baked into a quilt. I have one purchased layer cake waiting for the perfect project but layer cakes from stash-scary to even consider! Love the sisters and all their endeavors-wonderful giveaway! I have never used a layer cake because I have so many scraps and leftovers that I am ashamed to buy a layer cake. I would love to win one, my conscience would be clear and I would have fun using it!! I have no layer cakes waiting. I need some! I have more than i care to admit to. I am a fabric hoarder. You can never have too much fabric. Would love both books. Thanks for the giveaway. I only have 1 layer cake, but my stash could make lots more! I would lov to win this, thanks for the chance. book will provide me with that special one to get me going! Just purchased my first layer cake and could really use inspiration from the books! I have at least two layer cakes and I couldn’t begin to say how many I could make out of my stash! currently have 7 layer cakes and could make up at least another 3 from the stash. so much to sew! I currently have 3 layers cakes that I purchased about 4 years ago waiting for the right project. How many could I make from my stash? Probably 100’s, maybe even a 1,000 or more. I only have a few, maybe 4 or 5. I need more!!! I think I have 3 layer cakes to work through. But one can never have enough fabric! Layer Cakes are my very favorite precut and I’ve got 2 or 3 still waiting to be "baked". As to how many I could cut from my stash, I have NO idea! Ladies, your new book looks fantastic as always!! I’m not a layer cake collector; I know of possibly 2 I have! However, with that being said, I could probably create at least to the moon & back layer cakes with my wonderful fabric stash! I have 1 layer cake that I’m in the middle of sewing the blocks. I think I could cut several layer cakes from my stash! Would love to ✂️ Out a layer 🍰 Quilt. i have at least 7 i could use. I don’t have any layer cakes. I probably have 15 Layer cakes to be “baked.” I’m not home at the moment to count exactly but there are a bunch. I love to have several on hand. You never know when you need to “mix up a cake” for a friend!! Only one layer cake at the moment. I just used one of my layer cakes to make a lap quilt. I have three more sitting on my cutting table waiting for some inspiration. Thanks so much for the chance to win. I have 5 or 6 at the moment but could cut at least another twenty from my stash. I love layer cakes! I have 3-4 layer cakes. from my stash I could probably cut a million. I have two lager cakes waiting. Only one layer cake in my stash but so much fabric that I can cut more if needed. Wow. I really thought you were joking about revealing how many layer cakes we have! And then I see the numbers, 2, 3, (I did not read every comment). So, I am not going to share my number because it is SIGNIFICANTLY higher than those listed! Just leave it at I could buy both your books and make every quilt in them! Without blinking! I do love precuts and buy them whenever I see a sale, or one I can’t live without, or just because! Saving for the future! You never want to be without and you can never have too many……. i have 5 layer cakes waiting to be baked into a quilt, but i was stumped as to what to make. think i need your book. I have 5 layer cakes to be baked into a quilt, but I’m stumped. Think I need your book! I want one in my stash. I have 3 layer cakes and could pull 3 more from my stash. I have a quite small stash. I have enough to make one or two quilts that I created from my stash. Can’t wait to use them. I have 9 layer cakes in my stash, but I would love to add one of these!!! I always 💕 Barb & Mary’s colorways & patterns. I have a huge stash waiting to be organized. I suspect I could make 3 layer cakes with narrower pieces to finish up a project! Your book would encourage me to actually GET IT DONE. Thank you. I have one- I tend to just purchase as I need for projects and don’t really keep a stash. Guess I don’t use many layer cakes cause I don’t know how to effectively use them! I’m ready to get started with these beautiful layer cakes. I don’t have any in my stash, but could probably cut 5 from all my stash( ha ha, does that make me a fabricaholic)! I just can’t wait to use your beautiful fabric in my first layer cake design!!! Just love your colors and designs! Quilting is so fun! I have enough for 6 layer cake quilts. I have at least 4 layer cakes awaiting patterns, this book looks awesome and the layer cakes I could use are mind boggling! I would love to win this bundle, it would give me a leg up. I have never done a layer cake quilt. So I guess it would be a good time to start. I have 1 layer cake which has been sitting there for quite a while because I am not sure what t do with it. The book would give me lots of ideas! Technically I don’t have any precut layer cakes in my stash, but I could probably cut at least 100 from my stash. Thanks! I have no layer cakes waiting, sadly. I need one to ponder upon. I have never tried precuts but I would love to work with layer cake fabric. Oh my! I think I only have 2 remaining layer cakes on my shelf – but I could make an embarrassing amount of layer cakes from my fabric stash!! I have 4 layer cakes waiting to be baked ibto two quilts. Layer cakes, love them I probably have at least 20 if not more. They are my favorite precut. I probably have at least ten layer cakes and I could make a hundred with my stash! I love precut, and I love your fabric designs! Your designs are so happy. I also have many charm squares and your two charm square books. Thanks for your creative genius! Only 1, but dozens in my stash. Only a few later cakes, but don’t ask me about charm packs of fat quarters!! I have over 20 layer cakes. I also love making quilts with precuts. I have 4 layer cakes ready to be baked. Only 2, not enough hours in a day!! I have four layer cakes waiting to be created into lovely quilts. I could cut many from my stash and having a book like this might inspire me to do just that. I have on hand 4 layer cakes. A closet so full of fabric it’s on the floor now😂 This hobby is very addictive. Would love the fabric and book. I seem to be a collector. Only have 1 layer cake in my position. I only buy them when I have a certain project in mind. I could probably make at least 100 layer cakes from my stash though! Don’t have any at this time but need one for a project making in October. Could make a lot from my stash though. Between layer cake, kits and other pre-cuts, I’m pretty sure I have enough to keep me busy the rest of my life! I have about 20 layer cakes and will try to use them this year…the year of finishing! I only have 2 layer cakes in my stash, but I could cut 1000s from that stash! Currently only two but love the convenience of them!! Whoa. That’s a stumper. Let’s say 237. 😂. That is a stab in the dark reaches of my fabric vault! Sorry to say I have NO layer cakes in my meager little stash. I have to get cracking! I have two and love them. Don’t have any now but could make dozens from my stash. I have 3 precut LCs and at least 2 already cut out from my stash. I’m more of a stash quilter as I started So Long Ago. How many more could I make? At least 100! Always looking for good ideas. Zero layer cakes!…but, ahem, maybe 10-12 from my stash. Oh my gosh – I have one layer cake and have tried to estimate how many i could make from my stash – easily 50 and likely more. They wouldn’t be collection of colors that wouldn’t necessarily play well together but I got the yardage. I would love to bake and hope to win. I have only 1 lonely layer cake. Would love to have more! I only have one lonely little layer cake. I would love to have some more! Oh my goodness I can’t even imagine because I love fabric. I buy fabric and then find a quilt design. My mom used to do the same and before I started to quilt I thought it was weird, now I understand! I have about 3 layer cakes but could create a lot more! Wow this is exciting! Love all “Me and My Sister” products. This would be too good to be true. I’ve lost track of how many layer cakes I have. Please don’t tell my husband! I’m going to say 8 layer cakes, give or take a couple, are waiting around here somewhere to make their debut in a quilt one day. This would require some digging and time to answer but not as many as yardage – I have only recently got on board with buying precuts – and am wondering what took this scrappy quilter so long??!! Old habits are hard to change! Oh my gosh-I probably have 15 layer cakes waiting for me-and some are from Me and My Sister designs! I have about a dozen layer cakes, but could create a lot more from my stash! I don’t have any layer cakes currently in my sewing room, but I could make quite a few from my stash. I have three layer cakes in hiding and loads of fabric I could turn into layer cakes. I have a pkg of Sun Print 2017 by Allison Glass. I’ve been saving it for the perfect pattern which I just recently found… Chopsticks. I’m using gray for the background… And I just received my 60° angle ruler that’s needed for this pattern. I need to get busy because Christmas is right around the corner. I only have two layer cakes at the moment, but these patterns could definitely inspire me to buy more! I love the cheerful quilts these sisters come up with! i about 8 layer cakes waiting to be turned into a cozy quilt. Thanks for the giveaway. I only have a couple of layer cakes, but could make tons more with my stash. I never know what to make with them so I would love this book! I don’t have any layer cakes, but I sure would love to get the free give away. Thank you so much !!!!!! I have about nine layer cakes in my stash. Two of them are already in a “kit” to create a quilt!! I have about ten layer cakes just waiting for me! And lots of yardage to join them! I have never used a layer cake, but am ready to step out of my box! I am new to quilting and have 0 layer cakes. Looking forward to getting organized and start my collection! I have 10 or so in my stash, ready to bake – they are so irresistible! I love Me and My Sister designs – so cute!! I have about 8 layer cakes and my stash looks like a fabric store. A girl can’t have enough fabric…. Gosh, these are pretty. I could probably feed the community I live in making "cakes" from my stash! There’s always room for more, though. Love that photo of the sisters in their jammies. Three at present. I could make too many to count with my stash!!! I only have 2 layer cakes ready to be baked! I have 2 layer cakes waiting to be made into a quilt. I believe there are 4 layer cakes. I can’t even begin to imagine how many I could make with my stash! I haven’t ever used a layer cake. I could cut one or two from my stash. Would love to try using a. Layer Cake to make and bake a quilt.from the beautiful fabric collections. I don’t have any layer cakes but I would love to win these! I could make many from the fabric I have. I have 6. Many more could be created from my stash. I have no lsyer cakes, but vould probably creat 3 or 4 fromy stash. You made me count my stash of layer cakes. Shame on you or shame on me lol. I have ten and I need to use them. Sitting at my machine and looking around at my fabric up on my shelves, I can quickly count eleven layer cakes but who knows how many more I could cut into layers cakes from the fabric that I have in fat quarter bundles!! I LOVE My Sister and Me designs and fabrics!!! I have 12, 6 with the patterns picked out and 6 just because I like them! I currently have 0 in my stash, BUT, I could make too many to count. I just love the fabrics by the "Sisters." I have 6. Came home with two from quiltstock so should be busy all winter. I can’t count as most of my sewing room is packed as we are in the process of moving. The number must be well over 12. The new designs are very inviting. I have 5 official layer cakes but I can only guess at how many I could make. I am liking all things precut and kits! At last count I had six layer cakes in my stash ready to bake beautiful quilts. I don’t have any layer cakes right now, but I would love to make at least one quilt from this layer cake. In looking at my fabric stash, I could probably create 4-5 Layer Cakes! How fun! I haven’t used a layer cake yet. Would most definitely like to start with a layer cake bundle from your book. Quilts look adorable. I have never worked with layer cakes, but i could manage a few with my stash. I have 2 layer cakes currently, but i could prob make 20 of them. I recently inherited some fabric when my grandmother passed away. I love layer cakes! I think I have seven waiting to be turned into a beautiful quilt, but I wouldn’t be surprised to find more hiding out on my sewing room! I have 4 layer cakes ready. Many more if I cut from my stash. I have about 50 waiting to be included in a quilt! I love your patterns and your accomplishments! You inspire me! Just 2 but I’m sure they are going to be beautiful in a quilt! I like layer cakes , however I have many more charm paks due to space limits; would love to win the fabric and book …both lines look like Fun !! Thanks for the chance to win. I have 3 waiting to be put.into.a.project. I have never bought a layer cake but I probably could cut at least 100 layer cake packs from my stash. At least 20…just bought two on Tuesday! Wow! Embarrassingly I probably have 10. This book would give me a great start! Gosh I have only 2 layer cakes ready to be baked. I’ve never actually opened up the ribbons! It’s time, don’t you think? Oh my. I must have 20 designer layer cakes. I can’t guess how many I could cut from my stash. Thanks for the opportunity to win a great gift. I have just 2 at the moment waiting patiently to be hatched! I have finished my layer cakes but my stash could make lots. Layer cakes are so easy to use. I don’t have to worry if the fabrics go together. I have more than 50 layer cakes, all sorted by designer in storage totes. I have 1 layer cake right now ready to bake. I’m sure I could cut 20-plus layer cakes from my stash. But why would I want to? So many beauties waiting to be bought. I have yet to explore the world of layer cakes and winning a bundle and book would be a wonderful way to start. I have a large number of layer cakes waiting on patterns. As I do not any layer cake books currently this would be a great start. I have two layer cakes in my stash, one print and one solid. I would love to win these both. Fabric and patterns are all of our favorite things. I currently do not own any layer cake patterns and I see many patterns I would love to make. I have 2 layer cakes! I have 29 layer cakes to make up into quilts. I’ve already made 4 quilts from other layer cakes. They are fun to make. But I need new ideas! I have about 15 waiting to be baked. You never know when a friend might need a “cake” for dessert!! I have a dozen to be baked and two to be “frosted”!! I probably have atleast 20 layer cakes. I could have more! They are so versatile to make 5” squares or 2.5” strips. 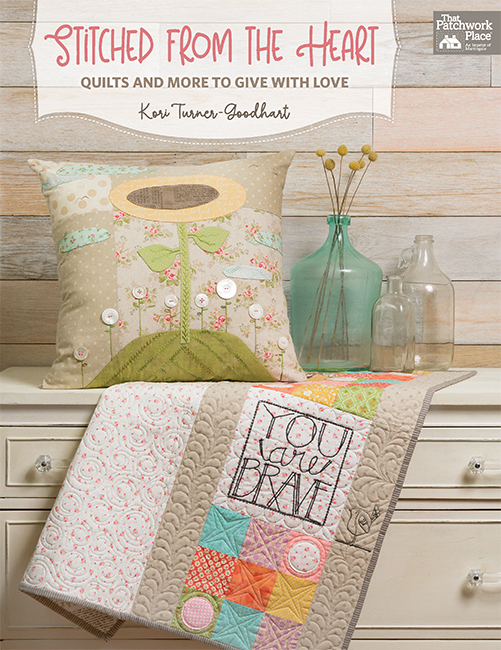 Love this beautiful collection of fabrics and the many cute quilts in the new book! Thank you for this giveaway! Goodness, I have at least 15 layercakes and A lot of fabric to make so many more! Me and my sister fabric is adorable, and I have made a couple of quilts with their different lines. Lookung forward to the book! I must have at least 15 Layer Cakes waiting to be made into quilts, these patterns look like just what I need to get going! I have three layer cakes waiting to be used…two will be going to quilt retreat with me in January. After reading some of the comments above, I’m not as bad as I thought. I probably have 4 – 5 layer cakes lounging in my sewing room ready to be used up. I sure could use this book to get motivated to use those layer cakes up and to make room for some different ones. Thanks for doing your giveaways. a mini collection of two layer cakes!!! No ‘official’ layer cakes at this time — but I could cut – umm- probably a couple of dozen from my stash. No ‘official’ layer cakes, but I could cut well over a dozen from my stash. I try to stay away from eating cake so don’t keep it in my house. These are layers I could definitely get behind! I would hate to count!! It would scare me to know that I need to start sewing fast!! I only have two layer cakes waiting to be used in some projects. I rarely sew Quilts but do many other gifts for family and friends. We have a wonderful country bazaar at our church and my projects are popular. I strive to teach others how to use layer cakes as an inspiration to develop neat gifts. Having another layer cake for a project would be great inspiration! Currently I have 2 layer cakes and probably could make several dozen from my stash! I adore Me & My Sister fabric designs. They are so fresh, lively and colorful! I have 2 layer cakes – one of which is already designated for a quilt pattern and the other is looking so this book is just the ticket. I have 4 but probably could make at least 10 more layer from my stash. I have several boxes full of lovely layer cakes just waiting to be made into a wonderful quilt.This book has so many perfect patterns for those quilts-in-waiting cakes. Keep up the great work. I have 4 but probably make at least 10 more from my stash. I have 6 layer cakes waiting to be made into quilt at the moment. I would hate to do the math on my stash let’s just say there are a few layer cakes worth of stash also. I have 3 cakes waiting. Love the bright colors used by Me and My Sister designs. I have 10 or 12 layer cakes and have made some from my stash. I’m ready to put that book to good use. I have 3 layer cakes but enough stash fabric to make "several more" and we’ll leave it at that! I have 1 actual cake but could cut many more from my stash. I have 5 layer cakes in my stash that I know of plus I have a huge stash but nothing as pretty as the pre-made layer cakes you can purchase. I love Me & My Sister fabrics, I have a few of their lines in my stash as well as some of their layer cakes, jelly rolls and charms. Just one! I used several recently so I’m down to one now. Maybe about one half dozen and I can’t imagine how many could be cut from my stash. 2! But yards and yards of yardage that can be cut into layer cakes if that works best with these patterns! Of course, it’s the matching up of prints and colors that makes ready made layer cakes such a winner! Goodness, I have several layer cakes just waiting to be "baked" into a quilt. I am always looking for easy patterns to use them on. I definitely need to get this book. I see some very nice quilts in the article. I have 2 actual pre cut layer cakes, but could cut many more from my fabric stash. Oh my, I only have 2 layer cakes to create with but I’m sure I could cut my stash into dozens of layer cakes. What fun patterns in this book. I see two I can hardly wait to make. My layer cakes are waiting, all three (3) of them. Thank you for the offer to win this exciting book. I have a few layer cakes and you’re book looks like fun. I think I need to get that one. Believe it or not, I have never owned a layer cake. How many could I make from my stash? ….. can’t count that high. These quilts are cute either way. Oh my, I counted 29 packages of layer cakes. I have fat quarters that could be turned into layer cakes — probably 6 or 7 — but no actual layer cakes. I have fat quarters that could be turned into layer cakes — probably 6 or 7 layer cakes — but no actual layer cakes. I have 4 layer cakes just waiting to be baked into something gorgeous! Had found Francis I loved but had not seen a fabulous way to finish them until seeing your book! I have never used layer cakes, but is on my list to buy and try. I can think of 4 specific ones but let’s say 5 just in case I’ve missed one! I only have about 2 or 3 and I am undecided on what to make from them. Would love the book for inspiration. I have only 2 or 3 layer cakes. I am undecided on what to make so maybe this book would help me. I have 2 or 3 layer cakes and I am undecided on what to make. Would love the book for inspiration. Oh that’s embarrassing ! Let’s just say, if they were real layer cakes, I would be expelled from Weight Watchers! I don’t have any layer cakes 😥but I have a huge stash that I draw from for projects. I have about 25 layers cakes that need to be used. This book would be a great help in finding inspiration to use them up. I have 10 actual layer cakes and can make many, many more from my stash. Currently, I have four layer cakes waiting to whipped into quilts. My stash could create a few more, for sure. Any new ideas for quilts are welcome in my studio! I have 2 layer cakes, which are from the same line and are waiting for the project I’ve saved them for. I can’t begin to count the number of layer cakes I could cut from my stash, but I’ve considered doing just that a few times. I probably have 8 to 10 layer cakes (and could make a lot from my stash). Love the looks of your book and patterns! I only have a couple of layer cakes…need patterns to make the most of them, I’d love to win the book! I only have 2 layer cakes right now. I’ve been waiting for inspiration and this book would definitely provide it! I only have one layer cake in my stash right now. I have been working on using up my precuts. Love those fat quarter bundles too! Just one! For now…… LOL. I have only one layer cake to be baked before Christmas, and cannot even imagine how many could be put together in my stash! Thank you for a chance to win such a beautiful book of patterns to try – love your book! Thank you for a chance to win your book of such beautiful quilts! I have only one layer cake to bake before Christmas, and who knows how many I could put together in my stash. I have three layer cakes waiting for the right project for me to cut into them. I love Me and My Sister Designs. They are full of fun and joy. I only have one layer cake in my stash, waiting for of these patterns. I would make more than I could possibly count if I cut my stash into layer cakes! I have about 8 layer cakes waiting for me. I would sure love a new book and some more fabric. Those patterns above from the book look amazing and fun. Hopefully this is one I finally win. I have enough fabric to cut many layer cakes, but only have one cut. I love the look of these patterns and fabrics. What beautiful colors. These two cuties are my favorite fabric designers. So bright and fun! I’m afraid to count my layer cakes. If I knew the exact number I might be tempted to cut back on buying more…..said no one ever! I don’t have any–looking at this book makes me think I should go buy some! I have 5 layer cakes at the moment. I also cut 10” squares from my left over fabrics.i would love some inspiration from this new book!!! Right now I don’t have any layer cakes, but I have enjoyed sewing with them previously. Currently I have 3 layer cakes waiting to become completed quilt projects. I have no idea how many homemade layer cakes I could create from my stash, but they would keep me sewing for a long time!! I don’t have any layer cakes waiting in my stash. I have thought about purchasing a couple. I am sure I could make five or six quilts using my stash and cutting 10″ squares from what I have. I’ve never used layer cakes, but this would be good inspiration to try them! Thanks. I must have at least 10 layer cakes waiting to be baked. Looks like a great new recipe book. I have 3 layer cakes and no idea how many I could make from my stash – certainly over 50! They are fun to work with. I think I only have 2 or 3 actual layer cakes, but I could probably make many, many, more from my stash. The patterns in this new book look super fun. I have a pretty good-sized drawer full of layer cakes and the ingredients to make many more. I have had success and baking up a couple into fun quilts. I have some ideas on my to-do list but always enjoy getting more inspiration. I have yet to make a layer cake quilt and am eager to get started! I think I have 3 layer cakes but I could cut several hundred from my stash! I love layer cakes. I could have 4 dozen. I have multiples of the ones I love and more than one line of my favorite designers. But I also pull the layer cakes apart and use the colors to match in quilts. These are so fun. Thanks. I own one layer cake and I can’t wait to slice into it. I have 5 layer cakes. The book sounds awesome! I have none 🙁 but can make many from my stash 🙂 . I probably have about 8 layer cakes but just haven’t decided yet what to do with them. I pretty sure I have 2 or 3 layer cakes waiting to be baked! I have 2 layer cakes waiting for use, and I have plenty of material in my stash to keep me busy. I don’t have any precut layer cakes; but I’m sure I’d have a good selection if I cut into all the scraps around here! I’ve always wanted to try a layer cake though, and I’ll remember this when I start doing scraps again!! The book looks amazing!! I probably have about 12-15 layer cakes. And of course I can’t even go to the yardage I have that could become layer cakes. But this new book from those 2 fun sisters would undoubtedly help me utilize those ‘cakes’ into some cool looking quilts. Thanks for the chance! I probably have over 50 if I counted all of them. I also have fat quarter collections of three of the Me and My Sister designs. I’ve already bought both of their Layer Cake books, so I just need to get started making some of these beautiful quilts. Love their fabric designs and books — such talented ladies. Oh dear! I have quite a few but they aren’t in just one spot and it would be probably take me just as long to corral them all as it would to make a quilt. Full disclosure – I have more jelly rolls than layer cakes. As a true fabricholic, I have too many to count as they are hidden all around the house so my husband does not see them as a huge collection. That will not stop me from continuing to adding to my hidden stash. About 10 layer cakes sit patiently on my shelf, waiting to be baked. Oh My Gosh I am afraid to estimate the number of quilts I could be making from my stash but that wonderful book has inspired me to get started. I currently have only 3 layer cakes on hand. However, I’m certain I could cut at least a hundred from my stash. I started donating my older fabrics and scraps to schools and scout troops. That way I keep my fabrics and ideas fresh. Maybe 5. This book looks like so much fun. Love their fun and colorful fabrics!!! I have two (2) layer cakes. I have designed a quilt for them, but I keep changing my mind about the design. Can’t have enough fabric…. I must have 9 or 10 layer cakes. I love ’em!! I have pieced two layer cakes for my granddaughters, and they are currently waiting to be joined together, and the final touches will be placed on their quilts once I have recovered from a broken wrist. Hoping to give them their quilts on Christmas Day! I have 2 layer cakes that are not complete because I’ve taken from each to create a baby pinwheel quilt and a small sunflower wall hanging. I’d love to win this awesome book!! I definitely could use more fabric! I have 6-7 layer cakes lying around waiting their turn. I have 4 layer cakes. Two of them are the same collection, thinking I was going to make a large quilt. Meanwhile I took some of the pieces for another project, so one is no longer complete. It would be nice to use all of them in something, because they are so pretty. I just bought one yesterday in Grand Rapids, have one started in a cake mix 8 pattern and have two others, one ready to cut and one to match up with the one I got as a prize on a bus trip. I actually did use up part of one for a tote bag but have pieces left for another project. So I guess you could say I love to work with them and look forward to your book with more patterns. There are five layer cakes on my to-make shelf and I could probably put together another four from my stash. The lovely patterns featured in the book have started me thinking about the possibilities of using them instead of just looking at them. I currently have 2 layer cakes in my stash. I’ll be starting work on the first one in a day or 2. Thanks for the giveaway! I love precuts! I have only one layer cake and can’t imagine the amount that I could cut! I am sure that it is many! At the moment I have two layer cakes with a LOT of fabric in my stash ready to be cut into layer cakes. I don’t have any layer cakes -Boo Hoo! But could cut several from my stash. Thanks for the opportunity to win such a great prize! I have 5 layer cakes sitting and waiting to be used 🙁 !! I have several layer cakes, afraid to count how many I have. If I started cutting from my stash it could possibly be in the 4 or 5 figures. Don’t have any layer cakes in my stash but can’t begin to imagine how high the number would be if I were to cut it into squares. I have two layer cakes plus enough fabric to make a ton of layer cakes. However, I have a problem making accurate 10″ squares from my fabric! I have a specific cake mix pattern for the two layer cakes I have. I have 3 layer cakes in my stash. I could possibly make an unlimited amount of layer cakes from my stash. Thanks for the giveaway!! I have at least three quilts from this book that I would like to make right away. I have at least ten quilts to make with layer cakes. how many from my stash? too many to count. not many layers, more jelly rolls. About 10 layer cakes and a bazillion could be cut from my stash, lol. It may be hard to believe, but I have only 2, and both are the same! Oh, my, its time to shop!! I have one layer cake in my stash. However, I just completed a quilt with the leftovers from another layer cake I made in to a quilt. With my stash, I could probably make 500 layer cake bundles and still have some left over. I think I had better get busy! I’ve just staarted collecting layer cakes, so I only have 4 now. I did use one already, and now I’m hooked, and need more recipes! I do have lots of fat quarters that could be made into a couple more layer cakes ….. I believe I have 7. I like them because one can have a little of everything in a fabric line. None are bright, fun fabrics. They are CW reproductions, and a few Kansas Troubles because the different lines work well together. I would really enjoy winning one of these….such cheerful colors! I don’t have any layer cakes on hand. I couple probably crest 3 or 4 if I cut up everything I had for other projects. I have 7 official layer cakes and I’d honestly be scared to know how many I could make! lots! i have 1 layer cake waiting to be made thanks to my mom. i am not sure how many i could make from my stash. not to many because i just started collecting material not long ago. thankyou for offering these things,it will really make someone happy. I have about 10 layer cakes ready to put in a recipe. No telling how many layer cakes I could make from my stash!! I have never used precuts but would love to make a kitchen quilt. Wonder if 2 layer cakes would be enough. I would love to have these in my stash. Would love to have 2 layer cakes to add to my stash. Hoping that would be enough to make a kitchen quilt. I don’t have any layer cakes! 😢 I really need to change that! As always, what darling fabric Me and My Sister designs!! with this pretty new line. I could cut many, many layer cakes from my stash. I probably have ten layer cakes waiting to be baked. With 20 plus quilts waiting for me to make (play), there must be at least half of those that use layer cakes. Love them! I actually do not have any! Wow, never thought of it, I have jelly rolls and charm packs but never tried layer cakes so maybe need to try it, lol. I do not have any layer cakes but have been wanting to create some projects with some! I have a total of 10 layer cakes, don’t want to think of how many I could make from my stash, a lot! I have two layer cuts already cut and ready to use and uncountable layer cakes still in yardage form! I have one layer cake and know what quilt I plan to make with it, just trying to match up a groundground fabric with it. Love precuts! I have just one layercake at the moment & know what I’m planning to make with it, tdying to match up a background fabric for it. Love precuts! I think I have five or six layer cakes in my stash, along with three plain ones to pair them with. I have several times that many patterns set aside to make using those layer cakes–you know how that goes. I have 3 layer cakes waiting to be baked. How many could I create from my stash? I’m sure the number is somewhere in infinity. I have zero layer cakes, but so much yardage ready and waiting to be cut! Hmmmm, how many Layer Cakes could I make? I could probably open my own bakery, which is why this book is great, I would start baking them! I have several layer cakes and couldn’t begin to estimate the number I could create from my stash! I’d love to win this prize!!! I have around 10 official layer cakes including several from the sisters waiting to be used. I have enough stash to cut a billion or more layer cakes, lol. Seriously, I need to use some fabric and maybe slow down on the purchasing. I would love to win the book because I really like the fabric lines from Me and My Sisters and in fact theirs was the first layer cake I bought. I like precuts because you get the whole line of fabric without having to go overboard with your purchase. Not sure how many layer cakes I have. They’re tucked away in a lot of places, sometimes along with coordinating yardage. I think I need this book! I have numbers of layer cakes, jelly rolls, tons of fat quarters, half-yard cuts. Oh me, oh my-o! But is there ever enough??? If I started now cutting up my stash into layer cakes, I might be done by Christmas 2028! I have 3 layer cakes and just getting started, so not much of a stash. Thanks for the giveaway! I have 5 layer cakes with Kelly rolls and charms to match. There’s no end to the number of layer cakes I could cut from my stash. I have a couple and really need some patterns. This book would be great. I have none, but am completely inspired to try them after reading this post. Thank you so much for this opportunity. I would be honored to win. I have 4-5 layer cakes waiting to be baked! I could make a ton of layer cakes with my stash! I have only one lonely layer cake – time to go shopping! I have one waiting to be cut with charm to match and another in process. I have one partially used layer cake and a bakery full of layer cakes I could cut from my stash! I think I have four layer cakes. From my stash – lots! I have layer upon layer of these beautiful 10” squares. The new book and fabric would bring great inspiration. What a happy place to be. I have a couple mixed with some jelly rolls and charms. I need ideas! Loved the patterns I saw. I love all Moda Precuts! I have maybe 10-12 Moda layer cakes waiting to be turned into something wonderful! I don’t believe it’s possible to calculate the number of layer cakes I could get from my stash! But a wild guess would have to be a couple hundred—seriously! Love both of those FQ bundles, the original precut, & the new book looks fabulous! I think it is my turn to be randomly chosen for this prize! LOL! I have several layer cakes. And they are versatile. I could cut a lot of layer cakes from my stash. This new book and fabric look idea inspiring. I LOVE layer cakes and have several dozen on hand, but I could literally make hundreds from my stash, and have made a few of my own. I haven’t tried any layer cake quilts and have none, but I would love to try one. Oh, my, let’s see, probably see, I can make two charity quilts, but my fabric stash can be cut into 20 layer cakes, perhaps . . . I have 3 layer cakes ready to be baked. The cook wasn’t sure how to prepare them. I have two layer cakes and my stash would probably be bottomless when it came to creating layer cakes of it. Who can guess how many I have, but they certainly are so handy. I don’t choose my own color combinations as well as I should, so layer cakes are my salvation. When I am ready to start a new project I do to my layer cakes. I only have 4 or 5 layer cakes waiting to be used. I don’t have any stashed away right now. I have finished everything except 2 quilts I have pieced together and a vintage quilt to repair. I have one layer cake ready to make into a quilt. I love the colors in the layer cakes fabric bundles. I’ve never bought a layer cake, but I do have an adequate stash for many. I love all of the patterns you have shown. Beautiful!!!!! I have about 12 LCs languishing in my stash…plus oodles more if I were to cut my yardage stash into LC squares LOL! I have 2 and enough fabric to probably cut 200 more. But who is counting. Thanks for the contest and love the book. I don’t have ANY layer cakes and could probably make just two or three from my current stash. I know I have VERY far to go to match the stash of some of the folks whose comments I’ve read here! If I were to cut up my fabric into LC, I would be able to make a quilt big enough to cover the Queen Mary!! I have no pre-cut LC. I have about 8 layer cakes …. but I can never decide which one I want to use! As for how many I could make from my stash (shudders) …. at least 200! Precuts are so pretty and coordinated and too nice to use lol. But, a book dedicated to using them would definitely inspire me to create some! I have 3 layer cakes, but would have too many to count if I cut up my stash! I love precuts and Layer Cakes are my favorite. I have several right now to make Christmas projects! There were several quilts that I liked. Mainly the ones using parallel cuts. I have a "GO" cutter which makes the cutting a breeze. I also have several layer cakes groups to use up. I have 2, both Christmas fabric. Thanks! If I cut them myself, I could probably have DOZENS of layer cakes. I love the summer colors, but am thinking of Christmas, too.